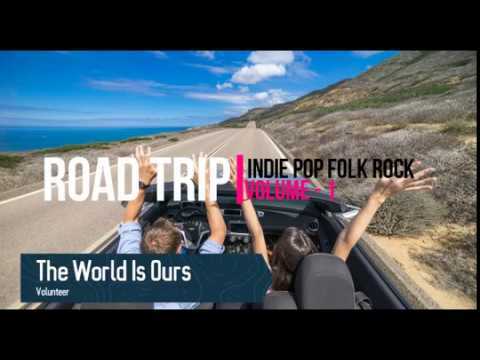 Road Trip An Indie Pop Folk Rock Playlist Vol 2....! 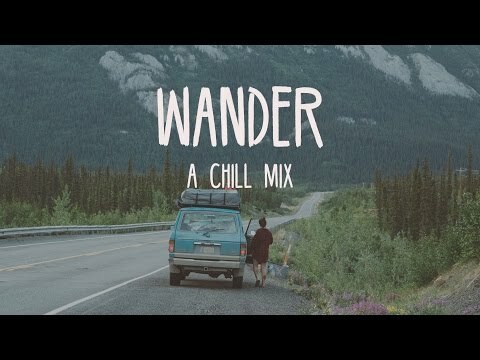 Hit the road with this collection of indie tracks perfect for travelling the world! Listen to it on Spotify here: https://open.spotify.com/user/alxrnbrdmusic/playlist/3228d9AQ3AR7WKJIAEBASH » Subscribe to be the first to hear the best new independent music! http://bit.ly/145fFnx ✉ Please contact alexrainbirdmusic@gmail.com if you’d like your music to be featured on my channel. Tracklist: 0:00 Volunteer -- ‘The World Is Ours’ https://www.facebook.com/volunteersounds/ http://spoti.fi/2vOtNE6 Download: http://apple.co/2fsqyeU 3:54 Nuriel -- ‘Beautiful Day’ https://www.facebook.com/NurielBand/ http://spoti.fi/2r2pcJd Download: http://hyperurl.co/IndieJune2017 8:27 Smith & Thell -- 'Feathers & Gasoline’ https://www.facebook.com/Smithandthell/ http://spoti.fi/2hK4r48 Download: http://smarturl.it/Soulprints 12:20 HIDININ -- ‘Free But Hollow’ https://www.facebook.com/hidinin/ http://spoti.fi/2vOraSX Download: http://apple.co/2hIYjsZ 15:53 Simen Mitlid -- 'I Don’t Care' https://www.facebook.com/simenmitlidofficial/ http://spoti.fi/2fsGEVE Download: http://apple.co/2fssljL 19:30 Michael Barrow & The Tourists -- 'Sing Me Something New’ https://www.facebook.com/michaelbarrowmusic/ http://spoti.fi/2qQ9Vvg Download: http://hyperurl.co/MichaelBarrowAndTT 23:03 Before the Brave -- ‘Better Country’ https://www.facebook.com/beforethebrave/ http://spoti.fi/2vixOzg Download: http://apple.co/2wHbsFu 27:31 The Natterjacks -- ‘Wind No Rain’ https://www.facebook.com/The-Natterjacks-178794162141930/ http://spoti.fi/2vls6Lv Download: http://apple.co/2uoFPE0 31:55 Little India -- ‘Youngblood’ https://www.facebook.com/LittleIndiaBand/ http://spoti.fi/2vlWHs8 Download: http://apple.co/2vEOGRI 34:41 Clouds And Thorns -- ‘Where Will We Go Today’ https://www.facebook.com/CloudsAndThorns/ http://spoti.fi/2sgZe89 Download: http://hyperurl.co/CloudsAndThorns 38:48 The Tin Pigeons -- ‘Steel’ https://www.facebook.com/thetinpigeons/ http://spoti.fi/2vm6ApR Download: http://apple.co/2vOrWiD 42:06 Keller&Cole -- ‘Plain, Loud & Clear’ https://www.facebook.com/kellerandcole/ http://spoti.fi/2wtbqBT Download: http://apple.co/2vixUqL 46:01 Aaron Rickel -- 'Fading Summer' https://www.facebook.com/aaronrickelmusic/ http://spoti.fi/2viMG0C Download: http://apple.co/2wHm47k 49:28 Blended Brew -- 'Travelling Song' https://www.facebook.com/Blendedbrew/ http://spoti.fi/2uoIfyt Download: http://apple.co/2vMWAbk 53:53 DD Allen -- 'Just Like The Old Days' https://www.facebook.com/ddallenmusic/ http://spoti.fi/2vENAWg Download: http://apple.co/2ftl4R4 57:34 evanjack -- 'Indiana, Rust & Bone (Hamburg Edit)' https://www.facebook.com/evanjackmusic/ http://spoti.fi/2uFhwgu Download: http://apple.co/2wtKAJJ 1:01:28 COAV -- 'California' https://www.facebook.com/COAVmusic/ http://spoti.fi/2vm1A4y Download: http://apple.co/2wtsTKo 1:04:32 Go Barefoot -- ‘Hail’ https://www.facebook.com/gobarefootband/ http://spoti.fi/2uoUU8t Download: http://apple.co/2hJQZNV 1:07:23 Pilgrims’ Dream -- 'Ocean' https://www.facebook.com/pilgrimsdream/ http://spoti.fi/2s572tO Download: http://apple.co/2viQn6u 1:12:21 Michael Barrow & The Tourists -- ‘Turning To Gold’ https://www.facebook.com/michaelbarrowmusic/ http://spoti.fi/2qQ9Vvg Download: http://hyperurl.co/MichaelBarrowAndTT 1:15:31 Ottawa -- ‘Fever’ https://www.facebook.com/listentoottawa/ http://spoti.fi/2t8HKuZ Download: http://apple.co/2upd0aF Find alexrainbirdMusic on: Official website: http://www.alexrainbirdmusic.com/ Patreon (to raise money for a music festival! 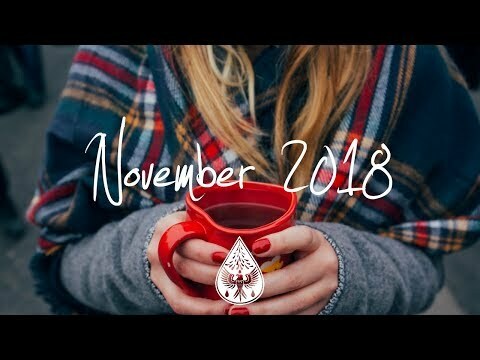 ): https://www.patreon.com/alexrainbirdMusic Facebook: https://www.facebook.com/alexrainbirdMusic Twitter: https://twitter.com/alxrnbdMusic Spotify: https://open.spotify.com/user/alxrnbrdmusic/playlist/3fXgOc95i2oevn5jdK0JAY Soundcloud: https://soundcloud.com/alexrainbirdmusic Instagram: https://instagram.com/alexrainbirdmusic/ Snapchat: alx_rnbrd Official merchandise: https://www.teepublic.com/user/alexrainbirdmusic About alexrainbirdMusic: Since 2011, Alex Rainbird has been hunting down and showcasing the very best in independent music. Featuring over 70 new artists a month, Alex hopes to provide a platform for underrated musicians to be heard and for viewers to find their new favourite band. Join Alex's +270,000 subscribers today to be the first to hear the finest independent music! Listen to a selection of the best indie-folk songs, chosen by myself and Indie Folk Central! Tracklist below… LISTEN ON SPOTIFY: http://spoti.fi/2nDF97k » Subscribe to be the first to hear the best new independent music! 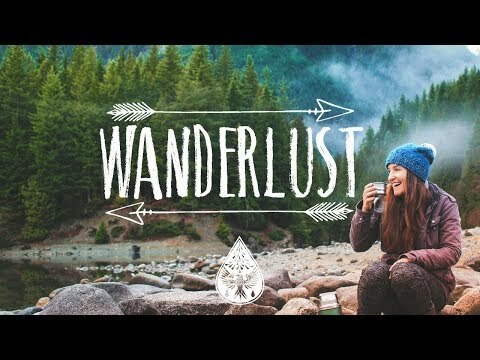 http://bit.ly/145fFnx Follow Indie Folk Central: https://www.youtube.com/indiefolkcentral http://indiefolkcentral.com/ https://soundcloud.com/indiefolkcentral http://indiefolkcentral.com/spotify https://www.facebook.com/indiefolkcentral ✉ Please contact alexrainbirdmusic@gmail.com if you’d like your music to be featured on my channel. Tracklist: 0:00 Hollow Coves -- ‘Interlude’ http://spoti.fi/2BsLyYN Download: http://apple.co/2zp0QMh 0:55 Chloe Jane -- ‘Photographs’ http://spoti.fi/2BsLVCF Download: http://apple.co/2C64L6k 4:26 Hollow Coves -- ‘These Memories’ http://spoti.fi/2BsLyYN Download: http://apple.co/2zp0QMh 9:05 Dave Thomas Junior -- 'Making Mistakes & Wasting Time’ http://spoti.fi/2sPnlZh Download: http://apple.co/2BI0zdv 12:31 Ed Patrick -- ‘Eyes on You’ http://spoti.fi/2fZGh2x Download: http://apple.co/2l5Flek 15:34 Klondike -- 'Brother Of My Heart' http://spoti.fi/2BvHfvN Download : http://apple.co/2C5PKl2 20:11 SYML -- 'Where’s My Love’ http://spoti.fi/2tK6JAV Download: http://apple.co/2BuZvpk 24:08 Boatkeeper -- ‘So Go’ http://spoti.fi/2BNe9fF Download: http://apple.co/2DGVMGB 27:39 Chase McBride -- ‘On The Other Side’ http://spoti.fi/2xbns3I Download: http://apple.co/2C25tig 30:49 Luca Fogale -- ‘Used to Be’ http://spoti.fi/2oO6kPm Download: http://apple.co/2D8eYfk 33:58 Willy Poldd -- ‘To Just Sail Away’ http://spoti.fi/2C0Rvxk Download: http://apple.co/2l65Pg4 37:10 Hanging Valleys -- ‘Coast Days’ http://spoti.fi/2D8lLFY Download: http://apple.co/2CkWoUn 40:32 Oliver Daldry -- ‘Ghost Town’ http://spoti.fi/2l6i0cD Download: http://apple.co/2BZjRrQ 44:49 Lists -- ‘Autumn’ http://spoti.fi/2AfKlnH Download: http://apple.co/2l6BJcf 48:37 In the city -- 'Changing Tides' http://spoti.fi/2soz2YD Download: http://apple.co/2BLYRIg 51:40 Michael Barrow & The Tourists -- 'Hey, Hey, Hey' http://spoti.fi/2D8aeGq Download: http://hyperurl.co/MichaelBarrowAndTT 54:30 Jesse Taylor -- ‘Mountains’ http://spoti.fi/2wqLVn5 Download: http://apple.co/2C3yKMa 58:16 The Tide Rose -- ‘On The Road’ http://spoti.fi/2eQyZwO Download: http://hyperurl.co/AutumnFallFolk17 1:01:57 Zach Winters -- ‘Knock Kneed & Lead Lunged’ http://spoti.fi/2ieBYnj Download: http://apple.co/2kR2nGB 1:04:23 George Ogilvie -- ‘October’ http://spoti.fi/2waK6qH Download: http://apple.co/2BuUNI8 1:09:26 The Passage North -- ‘For Now’ http://spoti.fi/2wjWj0S Download: http://apple.co/2D8ebuK 1:11:47 Max Subar -- ‘Morning Song’ http://spoti.fi/2vHwhEp Download: http://apple.co/2C25Ufd 1:15:31 Runabay -- ‘You I Know’ http://spoti.fi/2u2Mhfq Download: http://apple.co/2lwimt4 1:19:11 Alex Hedley -- ‘One Day’ http://spoti.fi/2BYTi5d Download: http://apple.co/2ll8Dqv 1:23:38 Harry Pane -- ‘Fletcher Bay’ http://spoti.fi/2j1IAWP Download: http://apple.co/2DB5OZ9 1:26:36 Ian Randall Thornton -- ‘Do You Rise’ http://spoti.fi/2zddS3G Download: http://apple.co/2BWBurv 1:30:01 Alex Fisher -- ‘The Sailor’s Wife’ http://spoti.fi/2tCPs1t Download: http://apple.co/2lsRwSZ 1:35:41 Vintage Talk -- ‘Old Self’ http://spoti.fi/2cQbcvV Download: http://apple.co/2ltTsKP 1:40:24 The Talbott Brothers -- ‘We Got Love’ http://spoti.fi/2zQ7eg2 Download: http://apple.co/2Eg5qjL 1:43:37 Fellow Hollow -- ‘Clothesline’ http://spoti.fi/2EkQsJ9 Download: http://apple.co/2ltoHpj 1:47:38 ethansroom -- ‘Sadie’ http://spoti.fi/2zcdfV6 Download: http://apple.co/2pXbw5z 1:50:23 Native -- ‘Ocean’ http://spoti.fi/2CpqtQf Download: http://apple.co/2CqwDjf 🌧️ Find alexrainbirdMusic on: 🐦 Official website: http://www.alexrainbirdmusic.com/ Spotify: https://open.spotify.com/user/alxrnbrdmusic/playlist/2gCHaXDsqqmjpec20FN5Lc Facebook: https://www.facebook.com/alexrainbirdMusic Patreon (to raise money for a music festival! ): https://www.patreon.com/alexrainbirdMusic Twitter: https://twitter.com/alxrnbdMusic Soundcloud: https://soundcloud.com/alexrainbirdmusic Instagram: https://instagram.com/alexrainbirdmusic/ Official merchandise: https://www.teepublic.com/user/alexrainbirdmusic About alexrainbirdMusic: Since 2011, Alex Rainbird has been hunting down and showcasing the very best in independent music. Joined by his girlfriend Beth as of 2017, the couple feature over 70 new artists a month, and hope to provide a platform for underrated musicians to be heard and for viewers to find their new favourite band. Join their +370,000 subscribers today to be the first to hear the finest independent music! 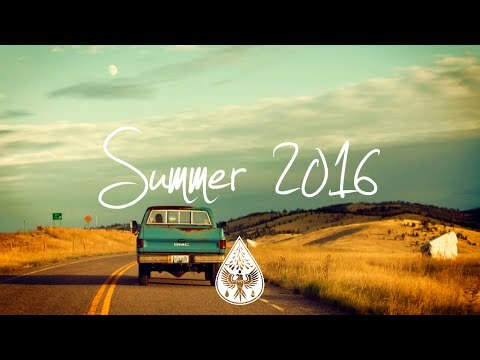 Listen to an hour of the best indie-rock music, perfect for a summer road trip. Tracklist and download below… DOWNLOAD: http://hyperurl.co/SummerIndieRockDL Subscribe to be the first to hear the best new independent music! http://bit.ly/145fFnx Please contact alexrainbirdmusic@gmail.com if you’d like your music to be featured on my channel. DOWNLOAD THIS COMPILATION: http://hyperurl.co/SummerIndieRockDL Tracklist: 0:00 Castlecomer -- 'The Noise' https://www.facebook.com/castlecomer https://soundcloud.com/castlecomer Download: http://azon.ly/TheNoise 3:40 Only Sun -- ‘Overcome’ https://www.facebook.com/onlysunofficial https://soundcloud.com/onlysunofficial Download: http://azon.ly/OnlySun 6:02 Love in October -- ‘Teenage Evolution’ https://www.facebook.com/loveinoctoberband/ https://soundcloud.com/love-in-october Download: http://azon.ly/TeenageEvolution 8:46 The Genius Buddha Band -- ‘I Don’t Mind’ https://www.facebook.com/thegeniusbuddhaband https://soundcloud.com/the-genius-buddha-band Download: N/A 12:03 WANDERER -- ‘Driving’ https://www.facebook.com/wanderersongs https://soundcloud.com/wanderersongs Download: http://hyperurl.co/SummerIndieRockDL 15:44 Slowlights -- 'A Light’ https://www.facebook.com/slowlightsband https://soundcloud.com/slowlightsband Download: N/A 19:44 Hoyle -- ‘True’ https://www.facebook.com/hoylemusic/ https://soundcloud.com/hoyle-music Download: http://azon.ly/Hoyle 23:01 Sam Tomlins -- 'Kick Me Softly’ https://www.facebook.com/SamTomlinsMusic https://soundcloud.com/sam-tomlins Download: N/A 25:36 Francis Moon -- 'Anchor’ https://www.facebook.com/FrancisMoonMusic/ https://soundcloud.com/francismoon Download: http://hyperurl.co/SummerIndieRockDL 29:41 Year of Suns -- 'The Undertow' http://yearofsuns.com/ https://www.facebook.com/YearofSuns/ https://twitter.com/yearofsuns https://www.instagram.com/yearofsuns/ Download: http://hyperurl.co/SummerIndieRockDL 33:35 Dum-Chang -- 'Atticus Finch' https://www.facebook.com/Dumchangofficial https://soundcloud.com/dum-chang-band Download: http://hyperurl.co/SummerIndieRockDL 37:40 Small Culture -- 'Too Late (ft Catharine Maloney, Nick Krill and Cameron Wilson)’ https://www.facebook.com/SmallCulture/ https://soundcloud.com/smallculture Download: http://hyperurl.co/SummerIndieRockDL 40:50 NOVELLAS -- 'Foolish' https://www.facebook.com/NovellasUK https://soundcloud.com/novellas-band Download: http://hyperurl.co/SummerIndieRockDL 43:55 Dantevilles -- 'Sea Of Change' https://www.facebook.com/dantevilles/ https://soundcloud.com/dantevilles https://open.spotify.com/artist/15LbkbmQYhTDVTl1z7GKg0 Download: http://azon.ly/Dantevilles 47:01 Nicholas Roberts -- 'The Rest of Our Lives' https://www.facebook.com/nicholasrobertsmusic/ https://soundcloud.com/nicholasrobertsmusic Download: http://hyperurl.co/SummerIndieRockDL 50:04 Aux House -- 'Antique Radio' https://www.facebook.com/auxhousemusic https://soundcloud.com/aux-house https://auxhouse.bandcamp.com/album/aux-house Download: http://hyperurl.co/SummerIndieRockDL 52:59 Son & Thief -- 'You Don’t Want That' https://www.facebook.com/sonandthief https://soundcloud.com/sonandthief Download: http://hyperurl.co/SummerIndieRockDL 56:22 Indigo Velvet -- 'Easy Love' https://www.facebook.com/weareindigovelvet https://soundcloud.com/indigovelvet Download: http://hyperurl.co/SummerIndieRockDL 59:06 No Mountains -- 'Trees of Memories' https://www.facebook.com/nomountains https://nomountains.bandcamp.com/ https://soundcloud.com/nomountains Download: http://hyperurl.co/SummerIndieRockDL 1:03:12 LITTLE COYOTE -- 'Neverending' http://littlecoyote.com.au/ https://soundcloud.com/little_coyote https://www.facebook.com/littlecoyoteband Download: http://hyperurl.co/SummerIndieRockDL 1:06:56 Francis Moon -- 'Summer Skin' https://www.facebook.com/FrancisMoonMusic/ https://soundcloud.com/francismoon Download: http://hyperurl.co/SummerIndieRockDL DOWNLOAD THIS COMPILATION: http://hyperurl.co/SummerIndieRockDL Find alexrainbirdMusic on: Official website: http://www.alexrainbirdmusic.com/ Facebook: https://www.facebook.com/alexrainbirdMusic Twitter: https://twitter.com/alxrnbdMusic Spotify: https://play.spotify.com/user/alxrnbrdmusic/playlist/5kiNj8BLGBfKLwASSxLu2U Soundcloud: https://soundcloud.com/alexrainbirdmusic Instagram: https://instagram.com/alexrainbirdmusic/ Official merchandise - Worldwide store: http://shop.spreadshirt.com/alexrainbirdMusic/ About alexrainbirdMusic: Since 2011, Alex Rainbird has been hunting down and showcasing the very best in independent music. Featuring over 50 new artists a month, Alex hopes to provide a platform for underrated musicians to be heard and for viewers to find their new favourite band. Join Alex's +97,000 subscribers today to be the first to hear the finest independent music! 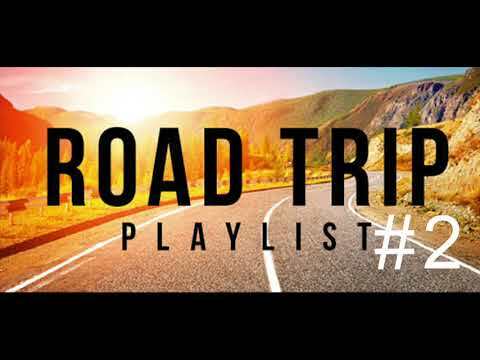 music is everything “Country Road” is a mixture of uplifting, peaceful and soothing indie/folk tracks. “Country Road” is a mixture of uplifting, peaceful and soothing indie/folk tracks. 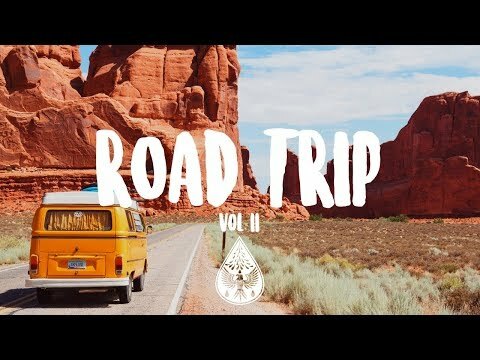 Go on a summer road trip with our new indie/rock/alt compilation! Tracklist and download below… LISTEN ON SPOTIFY: https://spoti.fi/2JPvh4C » Subscribe to be the first to hear the best new independent music! http://bit.ly/145fFnx ✉ Please contact alexrainbirdmusic@gmail.com if you’d like your music to be featured on our channel. DOWNLOAD THIS COMPILATION: http://hyperurl.co/IndieRockSummer18 Tracklist: 0:00 Only Sun -- ‘Indigo’ https://spoti.fi/2IGiCQI https://www.facebook.com/onlysunofficial/ Download: https://apple.co/2JIvZnk 3:02 Family And Friends – ‘Peaches’ https://spoti.fi/2sTi17E https://www.facebook.com/familyandfriends/ Download: https://apple.co/2l3IKuT 7:37 Towers and Trees – ‘Head Down/ Heart Up’ https://spoti.fi/2JBanpI https://www.facebook.com/towersandtrees/ Download: http://hyperurl.co/IndieRockSummer18 11:10 Bend Sinister -- ‘Heard It All Before’ https://spoti.fi/2sPO0GB https://www.facebook.com/bendsinister/ Download: https://apple.co/2l2ERpZ 13:47 The Lighthouse and The Whaler -- ‘Into The Unknown’ https://spoti.fi/2JATdZn https://www.facebook.com/thelighthouseandthewhaler/ Download: https://apple.co/2MhNzwM 17:25 Cavern Company -- 'Falling’ https://spoti.fi/2xZ4CAT https://www.facebook.com/caverncompany/ Download: http://hyperurl.co/IndieRockSummer18 20:52 Lost in Vancouver – ‘Pinot Noir’ https://spoti.fi/2s5SHuD https://www.facebook.com/lostinvancouver/ Download: http://hyperurl.co/IndieRockSummer18 24:59 nomad -- '2 Flares’ https://spoti.fi/2y0WwYq https://www.facebook.com/officialnomadmusic/ Download:  https://apple.co/2l16yiP 28:17 Quality Living – ‘Alcohol Store’ https://spoti.fi/2JrxJC5 https://www.facebook.com/qualitylivingband/ Download: http://hyperurl.co/IndieRockSummer18 31:37 Arms Akimbo -- 'None Of My Business’ https://spoti.fi/2JIxmT0 https://www.facebook.com/ArmsAkimboBand/ Download: http://hyperurl.co/IndieRockSummer18 34:36 OLDBOY -- 'Solo’ https://spoti.fi/2JyQWOg https://www.facebook.com/Oldboymusic%20/ Download: https://apple.co/2JIU39M 37:49 Dayglow – ‘Can I Call You Tonight?’ https://spoti.fi/2JLKOp8 https://www.facebook.com/dayglowband/ Download: http://hyperurl.co/IndieRockSummer18 42:12 The Solarists -- 'Wait For It’ https://apple.co/2JIgOHm https://www.facebook.com/TheSolarists/ Download: https://spoti.fi/2y93z13 45:35 Kios -- 'Right Now’ https://spoti.fi/2LOQQm7 https://www.facebook.com/kiosmusicofficial/ Download:  https://apple.co/2JPPXMP 49:12 One Flew West – ‘What Do I Know’ https://spoti.fi/2JARM15 https://www.facebook.com/oneflewwestband/ Download: http://hyperurl.co/IndieRockSummer18 51:49 Arvo -- 'Jejune’ https://spoti.fi/2JPLQQR https://www.facebook.com/arvoau/ Download: http://hyperurl.co/IndieRockSummer18 56:06 DENIO -- 'Born Again’ https://spoti.fi/2Ml4JJX https://www.facebook.com/denioband/ Download: http://hyperurl.co/IndieRockSummer18 1:00:30 Greatest Lakes – ‘Set Sail’ https://spoti.fi/2sRTnFs https://www.facebook.com/greatestlakes/ Download: http://hyperurl.co/IndieRockSummer18 1:03:13 Steppes -- 'Rachel’ https://spoti.fi/2JSgd9A https://www.facebook.com/SteppesBand/ Download: http://hyperurl.co/IndieRockSummer18 1:06:28 The Cheap Thrills -- 'Sentimentality’ https://spoti.fi/2Mp02id https://www.facebook.com/pg/TheCheapThrills/ Download: https://apple.co/2MmJPKx 1:09:14 The Racer – ‘Young High’ https://spoti.fi/2LKt22S https://www.facebook.com/theracermusic/ Download: http://hyperurl.co/IndieRockSummer18 1:13:36 The Rare Occasions -- 'Backwards’ https://spoti.fi/2JFFzUx https://www.facebook.com/TheRareOccasions/ Download: https://apple.co/2y6PYav 1:16:30 Night Cap -- 'Somehow’ https://spoti.fi/2JA0koY https://www.facebook.com/nightcapatx/?fref=mentions Download: http://hyperurl.co/IndieRockSummer18 1:19:10 Spacey Jane -- 'So You Wanna’ https://spoti.fi/2y8dWCv https://www.facebook.com/JaneySpace/ Download: http://hyperurl.co/IndieRockSummer18 DOWNLOAD THIS COMPILATION: http://hyperurl.co/IndieRockSummer18 🌧️ Find alexrainbirdMusic on: 🐦 Official website: http://www.alexrainbirdmusic.com/ Spotify: https://open.spotify.com/user/alxrnbrdmusic/playlist/2gCHaXDsqqmjpec20FN5Lc Facebook: https://www.facebook.com/alexrainbirdMusic Patreon: https://www.patreon.com/alexrainbirdMusic Twitter: https://twitter.com/alxrnbdMusic Soundcloud: https://soundcloud.com/alexrainbirdmusic Instagram: https://instagram.com/alexrainbirdmusic/ Official merchandise: https://www.teepublic.com/stores/alexrainbirdmusic About alexrainbirdMusic: Since 2011, Alex Rainbird has been hunting down and showcasing the very best in independent music. Joined by his girlfriend Beth as of 2017, the couple feature over 70 new artists a month, and hope to provide a platform for underrated musicians to be heard and for viewers to find their new favourite band. Join their +430,000 subscribers today to be the first to hear the finest independent music! Another delve into some fantastic feel good songs, upbeat tunes and catchy lyrics guaranteed! Click below to see a list of artists featured and their track order ----------------------------------SUBSCRIBE---------------------------------------------- If your band would like to be featured or know some great unknown artists you'd love to see my playlists, feel free to drop me a message or email at funspear.submissions@gmail.com (00:00) 2-14 by CAMINO (2:40) Eye For An Eye by THE STRIKE (5:54) Throne by TRUITT** (9:15) Future by TORCHES (13:05) Heroine by SATELLITE STORIES (16:18) Footprints by X&Y (19:54) Tonight by ANIMAL ISLAND (23:27) It's Just The Way by THE BEGBIES (25:40) Get Hi by ALLIE AND IVY (28:24) Love Will Come Back by TWO YEAR VACATION (31:22) Midnight Dreams by DUEXO (34:32) Turn It Up by GO NORTH TO GO SOUTH (38:18) Pilot by FOX AND FOWL (41:17) Circles by SUMMER SKIN SEARCH PARTY (44:26) Dreams by FOU DE TOI (47:44) Kerosene by COLOUR (50:44) Youth by DALARO (53:35) If You're Counting by PICTURE HAUS (56:41) Summer by POP FICTION! (59:36) Already Love by GREAT GOOD FINE OK ** Truitt are made up of brother and sister, Brett and Brigetta Truitt from Nashville. Their catchy and upbeat single Throne is the perfect aid to emitting self-confidence, whether you listen to it once or 100 times (disclaimer: you'll listen more than once, you can't help it!) Please show them some support at their social media links below: http://www.truittband.com https://www.facebook.com/thetruitts/ I do not own any content used within this video. All rights belong to their artists and producers. All videos are monetised by the bands and their labels, I do not profit financially from any content used. All music is used for free promotional purposes only. 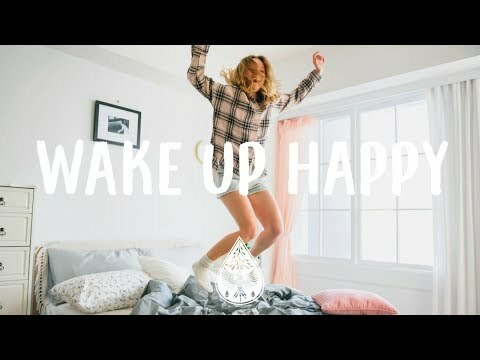 Feel the positive energy with this happy indie music selection! Tracklist & Spotify link below… 👇 LISTEN ON SPOTIFY: https://spoti.fi/2zyaH8b » Subscribe to be the first to hear the best new independent music! http://bit.ly/145fFnx ✉ Please contact alexrainbirdmusic@gmail.com if you’d like your music to be featured on our channel. 💿 Tracklist: 0:00 Clouds And Thorns -- ‘Everything Is Possible Now’ https://spoti.fi/2mcYc8t https://www.facebook.com/CloudsAndThorns/ Downloads: http://hyperurl.co/EverythingIsPossible 3:08 East Love -- ‘Sweet Arizona’ https://spoti.fi/2N8Q97V https://www.facebook.com/eastloveband/ Download: https://apple.co/2zuzB8H 6:06 Rob Drabkin -- ‘It’s a Beautiful Day’ https://spoti.fi/2LbU8jF https://www.facebook.com/RobDrabkinMusic/ Download: https://apple.co/2N6exXQ 9:04 Harbour -- ‘Get You High’ https://spoti.fi/2KP35TQ https://www.facebook.com/harbourtheband/ Download: https://apple.co/2LaymN7 12:56 Skinny Dipp -- 'Gasoline’ https://spoti.fi/2N5piK3 https://www.facebook.com/skinnydippmusic/ Download: https://apple.co/2Nb6V6t 16:02 Honoraries -- 'New Colors (feat. 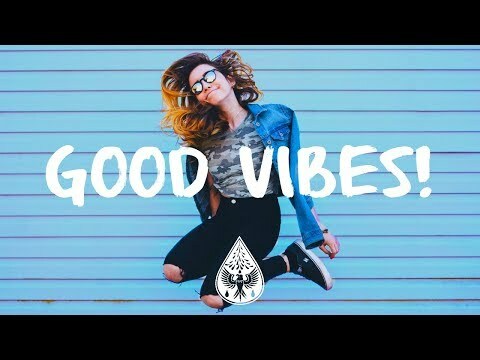 Dan Read)’ https://spoti.fi/2L3rN2g https://www.facebook.com/honorariesmusic/ Download: https://apple.co/2NLslbw 20:26 Volunteer -- ‘Good Good Day’ https://spoti.fi/2mcHXbz https://www.facebook.com/volunteersounds/ Download: https://apple.co/2EjdWNW 23:59 The Well Pennies -- ‘Ooh La La’ https://spoti.fi/2La1sfL https://www.facebook.com/thewellpennies/ Download: https://apple.co/2DLI5Fj 27:01 Nauset Light -- ‘Movin’ Up’ https://spoti.fi/2JgMyTf https://www.facebook.com/nausetlightmusic/ Download: https://apple.co/2mcIrOV 30:27 Vacation Manor -- ‘Careless’ https://spoti.fi/2N6FdIc https://www.facebook.com/vacationmanor/ Download: https://apple.co/2urAHfs 33:34 Charles William -- ‘Bulletproof Hearts’ https://spoti.fi/2L1kpnR https://www.facebook.com/acharleswilliam/ Download: https://apple.co/2pE8j8m 37:19 Dustin Paul -- ‘My Beautiful Life’ https://spoti.fi/2N5o1mj https://www.facebook.com/DustinPaulMusic/ Download: https://apple.co/2N9vgJX 40:36 Bird Passengers -- ‘Lights and the Fire’ https://spoti.fi/2NJXMD5 https://www.facebook.com/birdpassengers/ Download: https://apple.co/2LebpbN 44:45 DANSU -- 'Run’ https://spoti.fi/2uqXlEW https://www.facebook.com/dansuband/ Download: https://apple.co/2CbK1dW 47:41 Mark Adams -- ‘Summer Lovers’ https://spoti.fi/2KTdePm https://www.facebook.com/markadamsband/ Download: https://apple.co/2md1EzM 51:27 Chasing Moonlight -- ‘Home’ https://spoti.fi/2L2Lbwe https://www.facebook.com/ChasingMoonlightMusic/ Download: https://apple.co/2md3jph 55:05 AJ Edwards -- ‘Enswell’ https://spoti.fi/2ughRIR https://www.facebook.com/AJEdwardsOfficial/ Download: https://apple.co/2L3c5nK 58:43 OLDBOY -- ‘Solo’’ https://spoti.fi/2ugi6DL https://www.facebook.com/Oldboymusic/ Download: https://itunes.apple.com/gb/album/solo-single/ 1:01:57 The Tin Pigeons -- ‘Home’ https://spoti.fi/2LeeQ2b https://www.facebook.com/thetinpigeons/ Download: https://apple.co/2JhOA5l 1:05:06 Jacob Mallow -- ‘Wings of Gold’ https://spoti.fi/2LbFzN5 https://www.facebook.com/Jacob-Mallow/ Download: https://apple.co/2JfVyaZ 1:08:15 The Two Romans -- ‘Y’ https://spoti.fi/2L5Es4B https://www.facebook.com/thetworomans/ Download: https://apple.co/2NJ2KQp 1:11:51 Keith Johns-- ‘We’re Alive!’ https://spoti.fi/2zuGkPZ https://www.facebook.com/keithjohnsmusic/ Download: https://apple.co/2LdUIgG 1:14:50 Silent Crowd -- ‘Crazy Love’ https://spoti.fi/2JfANwj https://www.facebook.com/SilentCrowdBand/ Download: https://apple.co/2ucU38Q 1:17:59 Dustin Paul -- ‘Good Day To Be Alive’ https://spoti.fi/2N5o1mj https://www.facebook.com/DustinPaulMusic/ Download: https://apple.co/2ufQyhV 🌧️ 🐦 Find alexrainbirdMusic on: Official website: http://www.alexrainbirdmusic.com/ Spotify: https://open.spotify.com/user/alxrnbrdmusic/playlist/2gCHaXDsqqmjpec20FN5Lc Facebook: https://www.facebook.com/alexrainbirdMusic Patreon (to raise money for a music festival! ): https://www.patreon.com/alexrainbirdMusic Twitter: https://twitter.com/alxrnbdMusic Soundcloud: https://soundcloud.com/alexrainbirdmusic Instagram: https://instagram.com/alexrainbirdmusic/ 👕 Official merchandise: https://www.teepublic.com/user/alexrainbirdmusic ❓ About alexrainbirdMusic: Since 2011, Alex Rainbird has been hunting down and showcasing the very best in independent music. Joined by his girlfriend Beth as of 2017, the couple feature over 70 new artists a month, and hope to provide a platform for underrated musicians to be heard and for viewers to find their new favourite band. Join their +440,000 subscribers today to be the first to hear the finest independent music! 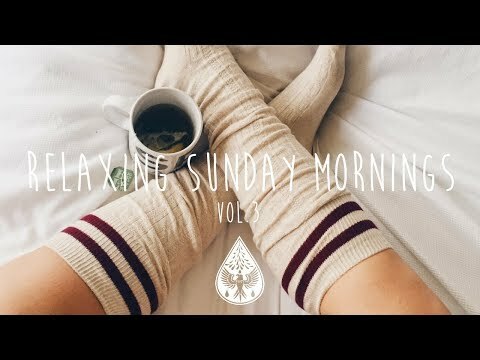 Make every day a Sunday with another hour of chilled indie music and laidback folk tracks. LISTEN ON SPOTIFY: https://spoti.fi/2RQpfrJ » Subscribe to be the first to hear the best new independent music! http://bit.ly/145fFnx ✉Please contact alexrainbirdmusic@gmail.com if you’d like your music to be featured on my channel. 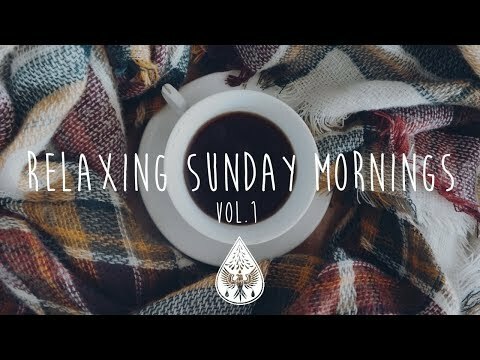 💿 Tracklist: 0:00 Lawson Hull -- ‘Sunday’ https://spoti.fi/2MaFSsN https://www.facebook.com/lawsonhullmusic/ Download: https://apple.co/2QPEg8C 4:09 Curtis Walsh -- ‘Full Recovery’ https://spoti.fi/2sqpQ4S https://www.facebook.com/curtiswalshmusic/ Download: https://apple.co/2RMuxEt 7:02 Tom Speight -- 'Collide’ https://spoti.fi/2FykufH https://www.facebook.com/TomSpeightMusic/ Download: https://apple.co/2HaJlZv 9:56 Ocie Elliott -- ‘Hold My Name’ https://spoti.fi/2FtZoA1 https://www.facebook.com/ocieelliottmusic/ Download: https://apple.co/2FyZPYQ 13:25 Jamie Yost -- 'Runaway’ https://spoti.fi/2svlUQd https://www.facebook.com/jamieyostmusic/ Download: https://apple.co/2Cp5Kwr 17:53 Sid Sriram -- 'It Isn’t True’ https://spoti.fi/2ClhVu7 https://www.facebook.com/sid.sriram.music/ Download: https://apple.co/2VT8rzu 20:54 The Como Brothers -- ‘See the Light’ https://spoti.fi/2VSOxnY https://www.facebook.com/TheComoBrothers/ Download: https://apple.co/2RMU2Wc 24:17 Matt Walden -- ‘Yellow Rose’ https://spoti.fi/2SVJxNw https://www.facebook.com/MattWaldenAC/ Download: https://apple.co/2RwxkCv 30:46 Chase McBride -- ‘Laws Of Attraction’ https://spoti.fi/2AIHntC https://www.facebook.com/ChaseMcBrideMusic/ Download: https://apple.co/2rnTiI6 34:14 Frances Luke Accord -- ‘Silver & Gold’ https://spoti.fi/2sqLhTz https://www.facebook.com/franceslukeaccord/ Download: https://apple.co/2FDcpqh 37:42 Drakeford -- ‘Seattle Rain’ https://spoti.fi/2FvJu8a https://www.facebook.com/Drakefordmusic/ Download: https://apple.co/2RTZZ3S 41:15 Land of Trees -- ‘If Worse Comes to Worst’ https://spoti.fi/2McBqJZ https://www.facebook.com/LandOfTreesMusic/ Download: https://apple.co/2z90bRp 45:06 Matt Spicer -- 'Build You a Home’ https://spoti.fi/2Fu1ujn https://www.facebook.com/mattspicermusic/ Download: https://apple.co/2Hd1ypo 49:29 Scott Orr -- 'Seasons’ https://spoti.fi/2SWsFpR https://www.facebook.com/scottorrmusic/ Download: https://apple.co/2HlUfvI 52:49 Jesse Taylor -- 'Waters’ https://spoti.fi/2FsN56U https://www.facebook.com/jessetaylorau/ Download: https://apple.co/2QQ7JPs 56:27 Victoria Bigelow -- 'Blame’ https://spoti.fi/2ANctAx https://www.facebook.com/victoriabigelowmusic/ Download: https://apple.co/2VRQT6B 59:40 Cinders -- 'Fools’ https://spoti.fi/2FALATi https://www.facebook.com/cindersmusic/ Download: https://apple.co/2RkQO9r 1:03:14 Simen Mitlid -- ‘Saturdays’ https://spoti.fi/2CxBKif https://www.facebook.com/simenmitlidofficial/ Download: https://apple.co/2TSbV3j 1:06:38 Toby Johnson -- 'Mississippi’ https://spoti.fi/2DbAhPW https://www.facebook.com/TobyJohnsonMusic/ Download: https://apple.co/2TPPdZo 1:11:34 Chase McBride -- ‘What A Way’ https://spoti.fi/2AIHntC https://www.facebook.com/ChaseMcBrideMusic/ Download: https://apple.co/2rnTiI6 1:14:52 Alfie Indra -- ‘Darling I’m Gone’ https://spoti.fi/2M9n5hh https://www.facebook.com/AlfieIndra/ Download: https://apple.co/2AKGyk8 1:17:34 Ed Whicher -- ‘Something New’ https://spoti.fi/2HeWaSx https://www.facebook.com/edwhichermusic/ Download: https://apple.co/2FBuvce 1:20:33 Gracie & The Valley -- ‘Rainbows’ https://spoti.fi/2Daf5K1 https://www.facebook.com/gracieandthevalley/ Download: https://apple.co/2TSgzyk 1:23:13 Otto Ström - ‘Porcelain’ https://spoti.fi/2PgyiS5 https://www.instagram.com/ottosegopics/ Download: https://apple.co/2FvM51U 🌧️ 🐦Find alexrainbirdMusic on: Official website: http://www.alexrainbirdmusic.com/ Spotify: https://open.spotify.com/user/alxrnbrdmusic/playlist/1cwmC5BQ6IIuLsbyZNBIJl Facebook: https://www.facebook.com/alexrainbirdMusic Twitter: https://twitter.com/alxrnbdMusic Soundcloud: https://soundcloud.com/alexrainbirdmusic Instagram: https://instagram.com/alexrainbirdmusic/ 👕Official merchandise: https://www.teepublic.com/stores/alexrainbirdmusic ❓About alexrainbirdMusic: Since 2011, Alex Rainbird has been discovering and showcasing the very best in independent music. Joined by his girlfriend Beth as of 2017, the couple feature over 70 new artists a month, and hope to provide the best platform for underrated musicians to be heard and for viewers to find their new favourite band. Join their +570,000 subscribers today to be the first to hear the finest independent music! 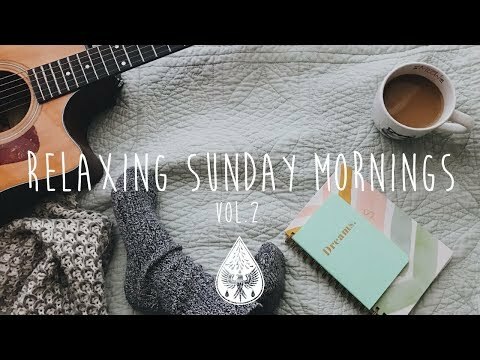 Rise and shine with the best and brightest indie/folk/pop music! Tracklist & download below… 👇 LISTEN ON SPOTIFY: https://spoti.fi/2Ux8Omh » Subscribe to be the first to hear the best new independent music! http://bit.ly/145fFnx ✉ Please contact alexrainbirdmusic@gmail.com if you’d like your music to be featured on my channel. 💿 Tracklist: 0:00 Cinders -- ‘Sleep Walking’ https://spoti.fi/2GE3wgD https://www.facebook.com/cindersmusic/ Download: https://apple.co/2RkQO9r 3:49 All Faces -- ‘Welcome Home’ https://spoti.fi/2S2CpT5 https://www.facebook.com/allfacesmusic/ Download: https://fanlink.to/WelcomeHome 6:48 WILD -- 'It Only Gets Better’ https://spoti.fi/2E5mkn7 https://www.facebook.com/wildthebandUS/ Download: https://apple.co/2WWQtf3 10:10 Dayglow -- ‘Hot Rod’ https://spoti.fi/2uQPxgN https://www.facebook.com/dayglowband/ Download: https://apple.co/2WUoGfm 13:32 East Love -- 'Shades of You’ https://spoti.fi/2N8Q97V https://www.facebook.com/eastloveband/ Download: https://apple.co/2CXQ18P 17:03 Saintway -- 'Here Comes the Fire’ https://spoti.fi/2UjCcrq https://www.facebook.com/saintwayswe/ Download: https://apple.co/2IlMXH8 20:39 DANSU -- ‘Love Is Ours’ https://spoti.fi/2Rczra0 https://www.facebook.com/dansuband/ Download: https://apple.co/2yAtaxU 23:46 Drakeford -- ‘Stronger Than One’ https://spoti.fi/2FvJu8a https://www.facebook.com/Drakefordmusic/ Download: https://apple.co/2RTZZ3S 26:32 Joe Hicks -- ‘Rest Your Head (Acoustic)’ https://spoti.fi/2GOZBhQ https://www.facebook.com/joehicksmusic/ Download: https://apple.co/2vhhiBz 30:32 Just Like Us -- ‘That’s Alright’ https://spoti.fi/2GuRWUU https://www.facebook.com/JustLikeUsIreland/ Download: https://apple.co/2tgwA5D 33:42 Canyon City -- ‘Uptown’ https://spoti.fi/2Cy0BUD https://www.facebook.com/CanyonCityMusic/ Download: https://apple.co/2I1qfoo 37:15 The Frontier -- ‘Wake the Dawn’ https://spoti.fi/2EeNruW https://www.facebook.com/thefrontierofficial/ Download: https://apple.co/2P12bTe 40:57 The Como Brothers -- 'See the Light’ https://spoti.fi/2VSOxnY https://www.facebook.com/TheComoBrothers/ Download: https://apple.co/2RMU2Wc 44:20 NOAHS – ‘Carry On’ https://spoti.fi/2Q5IhFg https://www.facebook.com/noahstheband/ Download: https://apple.co/2uTp6Xb 48:16 Lanai -- 'Joanna’ https://spoti.fi/2KfJ74R https://www.facebook.com/LanaiMusicOfficial/ Download: https://apple.co/2G8ajOO 53:52 Cumulus -- 'Light & Sound’ https://spoti.fi/2ShD8wk https://www.facebook.com/cumulus.songs/ Download: https://apple.co/2CEbrsa 57:07 Michael Barrow & the Tourists -- 'Sweet Honey’ https://spoti.fi/2BZC75p https://www.facebook.com/michaelbarrowmusic/ Download: https://fanlink.to/SweetHoney 59:48 Tom Prendergast -- ‘Way Down’ https://spoti.fi/2LAoz6C https://www.facebook.com/TomPrendergastMusic/ Download: https://apple.co/2YWDzzr 1:02:41 The Hails -- 'Stay’ https://spoti.fi/2RiJbTv https://www.facebook.com/thehailsofficial/ Download: https://apple.co/2SiC8rn 1:05:16 Matt Shill -- ‘Upside Down’ https://spoti.fi/2Scaqfh https://www.facebook.com/mattshillmusic/ Download: https://apple.co/2WVegMs 1:11:41 Daniel Trakell -- ‘Wisdom/Boredom’ https://spoti.fi/2GOEPi6 https://www.facebook.com/daniel.trakell/ Download: https://apple.co/2KgUV6K 1:15:19 The Collection -- ‘Left Of Your Joy’ https://spoti.fi/2PhLkOt https://www.facebook.com/theCollectionMusic/ Download: https://apple.co/2WSNa8D 1:18:59 Gregor McEwan -- ‘The Wrinkle in Time’ https://spoti.fi/2IkhvJe https://www.facebook.com/gregormcewanmusic/ Download: https://apple.co/2UJAJ1m 1:22:02 Dylan Dunlap -- ‘Clockwise’ https://spoti.fi/2SvcE9T https://www.facebook.com/iamdylandunlap/ Download: https://apple.co/2E3jtLZ 🌧️ 🐦 Find alexrainbirdMusic on: Official website: http://www.alexrainbirdmusic.com/ Spotify: https://open.spotify.com/user/alxrnbrdmusic/playlist/1cwmC5BQ6IIuLsbyZNBIJl Facebook: https://www.facebook.com/alexrainbirdMusic Twitter: https://twitter.com/alxrnbdMusic Soundcloud: https://soundcloud.com/alexrainbirdmusic Instagram: https://instagram.com/alexrainbirdmusic/ 👕 Official merchandise: https://www.teepublic.com/stores/alexrainbirdmusic ❓ About alexrainbirdMusic: Since 2011, Alex Rainbird has been discovering and showcasing the very best in independent music. 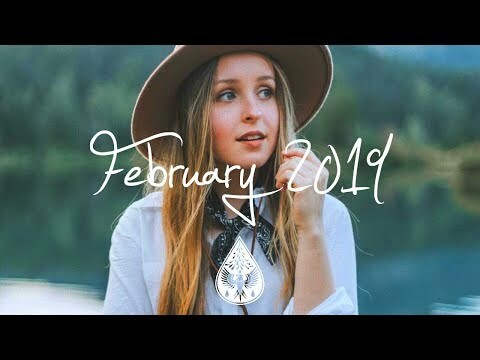 Joined by his girlfriend Beth Paterson as of 2017, the couple feature over 70 new artists a month, and hope to provide the best platform for underrated musicians to be heard and for viewers to find their new favourite band. Join their +610,000 subscribers today to be the first to hear the finest independent music! 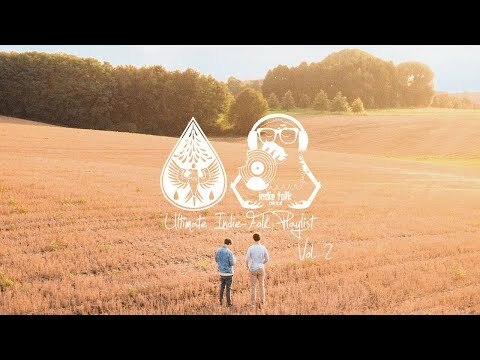 Discover a new selection of haunting indie/folk/alt tracks, perfect for Halloween! Tracklist below… 👇 LISTEN ON SPOTIFY: https://spoti.fi/2A6DK0E » Subscribe to be the first to hear the best new independent music! http://bit.ly/145fFnx ✉ Please contact alexrainbirdmusic@gmail.com if you’d like your music to be featured on our channel. 💿 Tracklist: 0:00 sød ven -- ‘comatose’ https://spoti.fi/2QHp25S http://www.instagram.com/sodvenmusic Download: https://apple.co/2INBOgn 3:24 Beta Radio – ‘Tongue Tied’ https://spoti.fi/2ys5Q4C https://www.facebook.com/betaradio/ Download: https://apple.co/2ILgdVO 6:22 Holly Abraham -- 'Shore’ https://spoti.fi/2RH7TL1 https://www.facebook.com/hollyabrahammusic/ Download: https://apple.co/2C6MCor 10:30 Swan Levitt -- ‘Parkhurst’ https://spoti.fi/2En4GxB https://www.facebook.com/swanlevitt/ Download: https://apple.co/2PqGX0q 13:24 Austin Basham -- ‘Elephants’ https://spoti.fi/2QEcHPK https://www.facebook.com/austinbashammusic/ Download: https://apple.co/2QCN027 16:19 Chaz Thorogood -- 'Four Walls’ https://spoti.fi/2A1mEkI https://www.facebook.com/chazthorogoodmusic/ Download: https://apple.co/2CAHfPw 19:50 Handkerchief Thief -- ‘Blood Is Red’ https://spoti.fi/2ILGROd https://www.facebook.com/handkerchiefthiefmusic/ Download: https://apple.co/2REZWpw 23:37 Whiskey Neat -- ‘Something Ain’t Right’ https://spoti.fi/2yvsiJQ https://www.facebook.com/marcrobillardmusic/ Download: https://apple.co/2ye7Wph 27:52 KIN -- ‘At What Cost’ https://spoti.fi/2QHWNnC https://www.facebook.com/musicofkin Download: https://apple.co/2Oemsrc 33:37 Danny Starr -- ‘Double Red Line’ https://spoti.fi/2QCS9XV https://www.facebook.com/dannyjamesstarr/ Download: https://apple.co/2QH9Vcn 36:39 Indian Run -- ‘I Hope You Never Call’ https://spoti.fi/2ytWwNC https://www.facebook.com/indianrunmusic/ Download: https://apple.co/2ORuEgq 39:53 Joel Porter – ‘Amaranthine’ https://spoti.fi/2OdayxE https://www.facebook.com/joelportermusic/ Download: https://apple.co/2CyKk2p 44:51 Toby Burton -- ‘Fall Into You’ https://spoti.fi/2RCI6Dr https://www.facebook.com/tobyburtonmusic/ Download: https://apple.co/2ytyWAB 49:21 Some Are Lonely – ‘Please’ https://spoti.fi/2pLcXkt https://www.facebook.com/somearelonely/ Download: https://apple.co/2Ebc136 53:03 Lewis Bootle -- ’Flowers’ https://spoti.fi/2RF8GvC https://www.facebook.com/LewisBootleMusic/ Download: https://apple.co/2pN5otL 57:01 Eden Iris -- ‘Dark Sunday Dream’ https://spoti.fi/2NznWHj https://www.facebook.com/edenirismusic/ Download: https://apple.co/2A29Tqc 1:01:42 Cedar House -- ‘Let You Down’ https://spoti.fi/2ytDrLv https://www.facebook.com/cedarhousemusic/ Download: https://apple.co/2CaDhfc 1:05:17 Samuel Fairbank -- ‘Fire (ft Kayla Smart)' https://spoti.fi/2C6RoST https://www.facebook.com/samuelfairbankmusic/ Download: https://apple.co/2yu7frm 1:07:44 Looking For Alaska -- ‘Calling Out’ https://spoti.fi/2CAMM8L https://www.facebook.com/LookingForAlaskaNZ/ Download: https://apple.co/2Oj3OhO 1:12:04 Ethansroom -- ‘Island’ https://spoti.fi/2A2DboQ https://www.facebook.com/ethansroom/ Download: https://apple.co/2EdqSKi 🌧️ 🐦 Find alexrainbirdMusic on: Official website: http://www.alexrainbirdmusic.com/ Spotify: https://open.spotify.com/user/alxrnbrdmusic/playlist/2gCHaXDsqqmjpec20FN5Lc Facebook: https://www.facebook.com/alexrainbirdMusic Patreon (to raise money for a music festival! ): https://www.patreon.com/alexrainbirdMusic Twitter: https://twitter.com/alxrnbdMusic Soundcloud: https://soundcloud.com/alexrainbirdmusic Instagram: https://instagram.com/alexrainbirdmusic/ 👕 Official merchandise: https://www.teepublic.com/user/alexrainbirdmusic ❓ About alexrainbirdMusic: Since 2011, Alex Rainbird has been hunting down and showcasing the very best in independent music. Joined by his girlfriend Beth as of 2017, the couple feature over 70 new artists a month, and hope to provide a platform for underrated musicians to be heard and for viewers to find their new favourite band. Join their +490,000 subscribers today to be the first to hear the finest independent music! Snuggle with a loved one and listen to an hour of indie music in this special Valentine’s playlist. LISTEN ON SPOTIFY: http://spoti.fi/2EqQx17 » Subscribe to be the first to hear the best new independent music! http://bit.ly/145fFnx ✉ Please contact alexrainbirdmusic@gmail.com if you’d like your music to be featured on my channel. 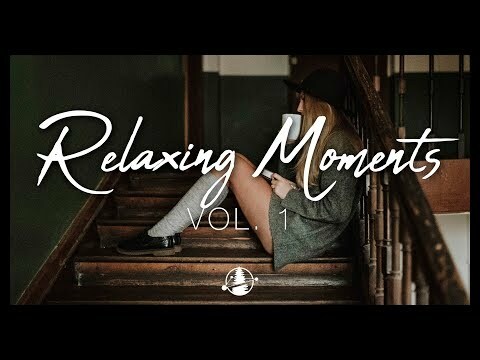 Tracklist: 0:00 In the City -- ‘Save Me Some’ http://spoti.fi/2ElyCIT https://www.facebook.com/inthecityband/?ref=br_rs Download: https://apple.co/2BespMT 2:30 Titus Haug – ‘I Will Love You Still’ http://spoti.fi/2nMV17S https://www.facebook.com/titushaug/ Download: https://apple.co/2sgEHBO 6:56 Andrew & Veda -- 'About Your Eyes’ http://spoti.fi/2BFj5mB https://www.facebook.com/andrewandveda/ Download: https://apple.co/2Bdt4OL 9:45 Ocie Elliott -- ‘Down By The Water’ http://spoti.fi/2BYChHE https://www.facebook.com/ocieelliottmusic/ Download: https://apple.co/2GU5yXm 12:39 Ed Patrick -- 'So Glad (I Got You) http://spoti.fi/2E8ytWc https://www.facebook.com/edpatrickuk/ Download: https://apple.co/2EKwWX7 15:31 Olivia Frances -- 'Moon to My Sun’ http://spoti.fi/2E4Oznt https://www.facebook.com/OliviaFrancesMusic/ Download: https://apple.co/2ELA5pZ 19:21 Keilan Creech -- ‘Roaming’ http://spoti.fi/2E2gX9Q https://www.facebook.com/keilancreech/ Download: https://apple.co/2EoKJ8g 23:00 Wolf and Willow -- ‘Heart On Fire’ http://spoti.fi/2FRJuLH https://www.facebook.com/wolfandwillow/ Download: https://apple.co/2EpDH3e 27:21 Michael Barrow & The Tourists -- ‘Born To Love’ http://spoti.fi/2qQ9Vvg https://www.facebook.com/michaelbarrowmusic/ Download: http://hyperurl.co/MichaelBarrowAndTT 31:50 Brandin Reed-- ‘Pour Out Love’ http://spoti.fi/2E65S7X https://www.facebook.com/brandinreedofficial/ Download: https://apple.co/2E8cMcD 38:25 Bella Musser -- ‘One Kiss More’ http://spoti.fi/2C177iO https://www.facebook.com/itsbellamusser/ Download: https://apple.co/2E5ADK3 41:12 Upstairs Open -- ‘You Got Love’ http://spoti.fi/2nN2Bzm https://www.facebook.com/UpstairsOpen/ Download: https://apple.co/2mMrLOE 44:46 Jon Middleton-- ‘I See You’ http://spoti.fi/2F1ydIu https://www.facebook.com/jonmiddletonmusik/ Download: https://apple.co/2EJKceN 47:42 Book On Tape Worm -- 'Brightest’ http://spoti.fi/2E6PYpG https://www.facebook.com/bookontapeworm/ Download: https://apple.co/2EL5Wa3 50:41 Motion Coaster – ‘Return To Love’ http://spoti.fi/2nNPxtm https://www.facebook.com/Motioncoaster/ Download: https://apple.co/2GRJ2yz 55:57 Brave Giant -- ‘Way To Love’ http://spoti.fi/2BZnfBd https://www.facebook.com/BraveGiantOfficial/ Download: https://apple.co/2nPsrCD 58:39 Sheridanway – ‘Hope Finds Me’ http://spoti.fi/2E6DWRk https://www.facebook.com/Sheridanway/ Download: https://apple.co/2BZ98fi 1:03:14 Edward & Graham -- ‘I Belong To You’ http://spoti.fi/2EJKYIJ https://www.facebook.com/edwardandgraham/ Download: https://apple.co/2nO5qjB 1:06:38 The Singer and The Songwriter – ‘Anywhere, Everywhere’ http://spoti.fi/2nMTdM1 https://www.facebook.com/thesingerandthesongwriter/ Download: https://apple.co/2nNy0lj 1:10:30 My Sun and Stars -- ‘You Stole My Heart’ http://spoti.fi/2BHI9sS https://www.facebook.com/mysunandstars.music/ Download: https://apple.co/2EKOXVu 1:11:27 Ocie Elliott -- ‘I Got You, Honey’ http://spoti.fi/2BYChHE https://www.facebook.com/ocieelliottmusic/ Download: https://apple.co/2GU5yXm 🌧️ Find alexrainbirdMusic on: 🐦 Official website: http://www.alexrainbirdmusic.com/ Spotify: https://open.spotify.com/user/alxrnbrdmusic/playlist/2gCHaXDsqqmjpec20FN5Lc Facebook: https://www.facebook.com/alexrainbirdMusic Patreon (to raise money for a music festival! ): https://www.patreon.com/alexrainbirdMusic Twitter: https://twitter.com/alxrnbdMusic Soundcloud: https://soundcloud.com/alexrainbirdmusic Instagram: https://instagram.com/alexrainbirdmusic/ Official merchandise: https://www.teepublic.com/user/alexrainbirdmusic About alexrainbirdMusic: Since 2011, Alex Rainbird has been hunting down and showcasing the very best in independent music. Joined by his girlfriend Beth as of 2017, the couple feature over 70 new artists a month, and hope to provide a platform for underrated musicians to be heard and for viewers to find their new favourite band. Join their +370,000 subscribers today to be the first to hear the finest independent music! 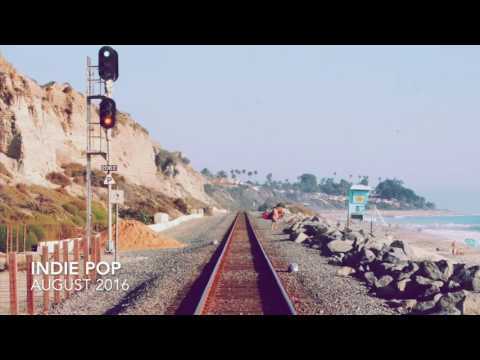 Discover the best new indie, pop & folk music in our September compilation! Tracklist & download below… 👇 LISTEN ON SPOTIFY: https://spoti.fi/2Mu8XTw » Subscribe to be the first to hear the best new independent music! http://bit.ly/145fFnx ✉ Please contact alexrainbirdmusic@gmail.com if you’d like your music to be featured on our channel. 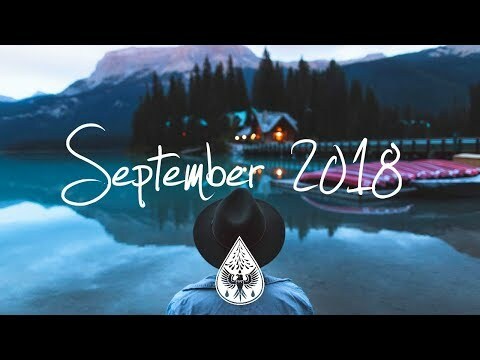 🎵 DOWNLOAD THIS COMPILATION: http://hyperurl.co/IndieSeptember18 💿 Tracklist: 0:00 The Hollow Men -- ‘Speak’ https://spoti.fi/2MSdDSe https://www.facebook.com/thehollowmens/ Download: https://fanlink.to/SpeakTHM 3:12 Peter Bradley Adams -- ‘My Arms Were Always Around You’ https://spoti.fi/2nEJrMq https://www.facebook.com/peterbradleyadamsofficial/ Downloads: http://hyperurl.co/IndieSeptember18 6:27 Jeffrey Piton -- 'On My Own’ https://spoti.fi/2BhYANi https://www.facebook.com/jeffreypiton/ https://www.youtube.com/watch?v=C2Sp46D0fBQ Download: https://apple.co/2MQylyQ 9:34 Yoke Lore -- ‘Ride’ https://spoti.fi/2Mu71cN https://www.facebook.com/yokelore/ Download: https://apple.co/2Bfr4Hq 13:21 Native -- 'Slowly Fading’ https://spoti.fi/2Mv3T09 https://www.facebook.com/iannorthmusic/ Download: http://hyperurl.co/IndieSeptember18 16:47 Vocal Few -- 'To the Ocean’ https://spoti.fi/2nGNt6U https://www.facebook.com/vocalfew/ Download: http://hyperurl.co/IndieSeptember18 20:17 Myc Sharratt -- ‘Celestial’ https://spoti.fi/2MhnHoH https://www.facebook.com/mycsharrattmusic/ Download: http://hyperurl.co/IndieSeptember18 24:14 BANFF -- ‘Renew’ https://spoti.fi/2w96HWK https://www.facebook.com/banffmusic/ Download: https://apple.co/2OEYJvX 28:03 Aaron B. Thompson -- ‘Pulse’ https://spoti.fi/2w9Ir6Q https://www.facebook.com/AaronBThompsonMusic/ Download: http://hyperurl.co/IndieSeptember18 31:41 Little Quirks -- ‘I Told You So’ https://spoti.fi/2nIkjV3 https://www.facebook.com/littlequirksband/ Download: http://hyperurl.co/IndieSeptember18 34:56 me&you -- ‘Georgia’ https://spoti.fi/2Bau6g9 https://www.facebook.com/meandyouofficialmusic.us/ Download: http://hyperurl.co/IndieSeptember18 39:04 Edwin Raphael -- ‘Tangerine Skies’ https://spoti.fi/2MtugU5 https://www.facebook.com/Edwinrphl/ Download: https://apple.co/2waDISj 42:53 Foxheart -- ‘All My Life’ https://spoti.fi/2MlWQYw https://www.facebook.com/foxheartmusic/ Download: http://hyperurl.co/IndieSeptember18 46:43 The Brook & The Bluff -- 'Straws’ https://spoti.fi/2w4Zo2a https://www.facebook.com/thebrookandthebluff/ Download: http://hyperurl.co/IndieSeptember18 50:36 Joseh -- ‘Right And Wrongs’ https://spoti.fi/2w503AG https://www.facebook.com/josehmusic/ Download: http://hyperurl.co/IndieSeptember18 54:11 Daggy Man -- ‘Are You Laughing’ https://spoti.fi/2vKwgxO https://www.facebook.com/DaggyManMusic/ Download: http://hyperurl.co/IndieSeptember18 58:07 Thorin Loeks -- ‘Open Sky’ https://spoti.fi/2OHlTlr https://www.facebook.com/thorinloeks/ Download: http://hyperurl.co/IndieSeptember18 1:03:00 JJ Draper -- ‘Gwythian’ https://spoti.fi/2w4cH2I https://www.facebook.com/iamjjdraper/ Download: https://apple.co/2MlYuJs 1:06:13 Echo Nebraska -- ‘Fountain of Youth’ https://spoti.fi/2MtwSBn https://www.facebook.com/echonebraska/ Download: http://hyperurl.co/IndieSeptember18 1:08:55 Chris Noah -- ‘Spark’ https://spoti.fi/2MprsaP https://www.facebook.com/ChrisNoahMusic/ Download: http://hyperurl.co/IndieSeptember18 1:12:04 Oliver Pinder -- ‘Lockdown’ https://spoti.fi/2MNMInp https://www.facebook.com/oliverpinder/ Download: http://hyperurl.co/IndieSeptember18 1:14:50 The Brazen Youth -- ‘You Could Not Provoke Me’ https://spoti.fi/2ODW05W https://www.facebook.com/thebrazenyouth/ Download: http://hyperurl.co/IndieSeptember18 1:18:49 Trevor Ohlsen -- ‘All Over Again’ https://spoti.fi/2MMstGK https://www.facebook.com/TrevorOhlsenMusic/ Download: http://hyperurl.co/IndieSeptember18 1:22:09 Owlbiter -- ‘Roof of the World’ https://spoti.fi/2BrxV0L https://soundcloud.com/owlbiter Download: https://apple.co/2KXXtBL 🎵 DOWNLOAD THIS COMPILATION: http://hyperurl.co/IndieSeptember18 🌧️ 🐦 Find alexrainbirdMusic on: Official website: http://www.alexrainbirdmusic.com/ Spotify: https://open.spotify.com/user/alxrnbrdmusic/playlist/2gCHaXDsqqmjpec20FN5Lc Facebook: https://www.facebook.com/alexrainbirdMusic Patreon: https://www.patreon.com/alexrainbirdMusic Twitter: https://twitter.com/alxrnbdMusic Soundcloud: https://soundcloud.com/alexrainbirdmusic Instagram: https://instagram.com/alexrainbirdmusic/ 👕 Official merchandise: https://www.teepublic.com/stores/alexrainbirdmusic ❓ About alexrainbirdMusic: Since 2011, Alex Rainbird has been hunting down and showcasing the very best in independent music. Joined by his girlfriend Beth as of 2017, the couple feature over 70 new artists a month, and hope to provide a platform for underrated musicians to be heard and for viewers to find their new favourite band. Join their +450,000 subscribers today to be the first to hear the finest independent music! 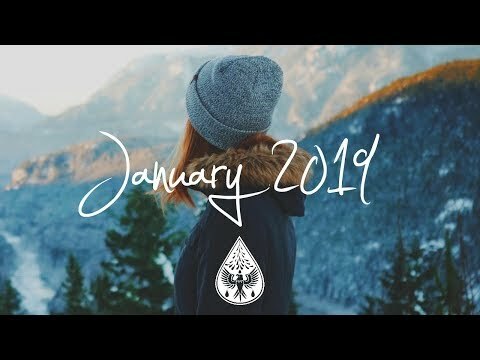 Discover the best new indie, pop & folk music in our January ‘19 compilation! Tracklist & download below… 👇 LISTEN ON SPOTIFY: https://spoti.fi/2RpnAZJ » Subscribe to be the first to hear the best new independent music! http://bit.ly/145fFnx ✉ Please contact alexrainbirdmusic@gmail.com if you’d like your music to be featured on our channel. 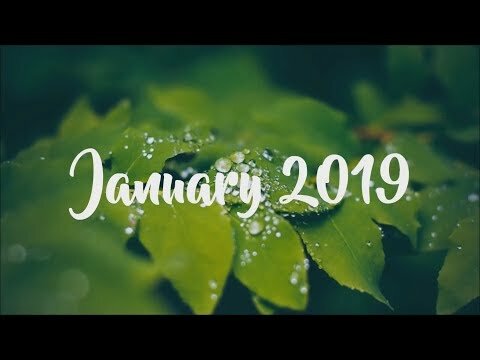 🎵 DOWNLOAD THIS COMPILATION: http://hyperurl.co/IndieJanuary2019 💿 Tracklist: 0:00 Drakeford -- ‘Ready or Not’ https://spoti.fi/2T2MDiC https://www.facebook.com/Drakefordmusic/ Download: http://hyperurl.co/IndieJanuary2019 3:45 Sheffield -- ‘What I’d Do’ https://spoti.fi/2SbtgDs https://www.instagram.com/sheffieldmusic/ Download: https://songwhip.com/artist/sheffield 6:16 WILD -- 'Just Begun’ https://spoti.fi/2SbtgDs https://www.facebook.com/wildthebandUS/ Download: https://apple.co/2DSdrOQ 9:07 Dave Thomas Junior -- ‘Flickers in the Flames’ https://spoti.fi/2EEEBcD https://www.facebook.com/davethomasjnr/ Download: http://hyperurl.co/IndieJanuary2019 12:34 Tom Leeb – ‘Are We Too Late’ https://spoti.fi/2R8apfx https://www.facebook.com/Tom.Leeb.Officiel/ Download: https://apple.co/2A7BOEK 17:22 Love & War -- 'Bonsai’ https://spoti.fi/2D5jz5S https://www.facebook.com/loveandwaroffical/ Download: https://apple.co/2QEMh4Z 21:54 All Types Of Kinds -- ‘Lucky One’ https://spoti.fi/2EwafYV https://www.facebook.com/atokmusic/ Download: http://hyperurl.co/IndieJanuary2019 26:35 Milo Greene -- ‘Young At Heart’ https://spoti.fi/2BuCLqv https://www.facebook.com/MiloGreene/ Download: https://apple.co/2EGSV4f 30:02 Lewis Ross -- ‘Come on Home’ https://spoti.fi/2T4ALN5 https://www.facebook.com/lewisRmusic/ Download: http://hyperurl.co/IndieJanuary2019 32:45 Arts Fishing Club -- ‘Tupelo Honey’ https://spoti.fi/2GHlHTY https://www.facebook.com/artsfishingclub/ Download: http://hyperurl.co/IndieJanuary2019 35:21 Nicolai Funch -- ‘Make It Last’ https://spoti.fi/2GwuA2F https://www.facebook.com/nicolaifunch/ Download: http://hyperurl.co/IndieJanuary2019 39:16 Swan Levitt -- ‘Younger’ https://spoti.fi/2EFAZa3 https://www.facebook.com/swanlevitt/ Download: https://apple.co/2CpzFFX 43:24 Richard Readey -- ‘Know (feat. Sara Ljung)’ https://spoti.fi/2QIxHtj https://www.facebook.com/RickReadey/ Download: http://hyperurl.co/IndieJanuary2019 47:30 Sean Christopher -- 'A Thousand Hues (After Midnight)’ https://spoti.fi/2A63Pww https://www.facebook.com/seanchristophermu/ Download: https://apple.co/2PS3H94 52:33 Foxheart -- ‘Inclement Weather’ https://spoti.fi/2EAG8zj https://www.facebook.com/foxheartmusic/ Download: http://hyperurl.co/IndieJanuary2019 56:07 Will Killen -- ‘Write You Out’ https://spoti.fi/2rPBea0 https://www.facebook.com/willkillenmusic/ Download: http://hyperurl.co/IndieJanuary2019 59:20 Riike Mo -- ‘Leaves Don’t Lie’ https://spoti.fi/2V1Dp8a https://www.facebook.com/riikemo/ Download: http://hyperurl.co/IndieJanuary2019 1:03:45 Whyte Tygers -- ‘Don’t Hesitate’ https://spoti.fi/2Bvkols https://www.facebook.com/WhyteTygers/ Download: http://hyperurl.co/IndieJanuary2019 1:07:01 George Walter -- ‘Okay’ https://spoti.fi/2RbtJsr https://www.facebook.com/georgewaltermusic/ Download: http://hyperurl.co/IndieJanuary2019 1:10:13 Simon Lynge -- ‘Paper Thin’ https://spoti.fi/2QIFveB https://www.facebook.com/SimonLyngeMusic/ Download: http://hyperurl.co/IndieJanuary2019 1:14:04 Evergreen -- ‘Waterton’ https://spoti.fi/2QHjywd https://www.facebook.com/yegevergreen/ Download: http://hyperurl.co/IndieJanuary2019 1:18:27 Tom Millichamp -- ‘If I’ https://spoti.fi/2V19NHH https://www.facebook.com/tommillichampmusic/ Download: http://hyperurl.co/IndieJanuary2019 1:21:48 Alfie Indra -- ‘Hard to Cope’ https://spoti.fi/2AaLIp5 https://www.facebook.com/AlfieIndra/ Download: http://hyperurl.co/IndieJanuary2019 1:24:58 Homes -- ‘Younger Sun’ https://spoti.fi/2ByFhMs https://www.facebook.com/musicbyhomes/ Download: http://hyperurl.co/IndieJanuary2019 1:28:29 Stonestreet -- ‘Ammunition’ https://spoti.fi/2Sbsbfb https://www.facebook.com/StonestreetMedia/ Download: https://apple.co/2PO9n3T 1:16:04 Mary Glenn -- ‘Train’ https://spoti.fi/2A8Fp5D https://www.facebook.com/maryglenndrapermusic/ Download: https://apple.co/2GxWg7k 🌧️ 🐦 Find alexrainbirdMusic on: Official website: http://www.alexrainbirdmusic.com/ Spotify: https://open.spotify.com/user/alxrnbrdmusic/playlist/1cwmC5BQ6IIuLsbyZNBIJl Facebook: https://www.facebook.com/alexrainbirdMusic Instagram: https://instagram.com/alexrainbirdmusic/ 👕 Official merchandise: https://www.teepublic.com/stores/alexrainbirdmusic ❓ About alexrainbirdMusic: Since 2011, Alex Rainbird has been showcasing the very best in independent music. Joined by his girlfriend Beth as of 2017, the couple feature over 70 new artists a month, and hope to provide the best platform for underrated musicians to be heard and for viewers to find their new favourite band. Join their +550,000 subscribers today to be the first to hear the finest independent music! 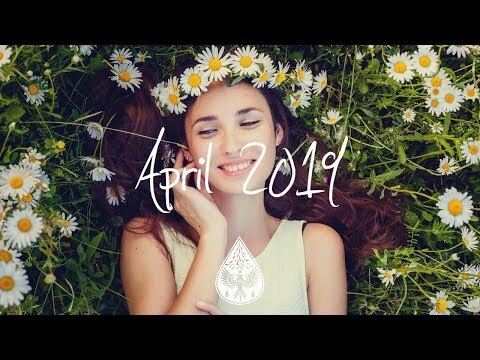 Discover the best new indie, pop & folk music in our April compilation! Tracklist & download below… 👇 LISTEN ON SPOTIFY: https://spoti.fi/2YyvH77 » Subscribe to be the first to hear the best new independent music! http://bit.ly/145fFnx ✉ Please contact alexrainbirdmusic@gmail.com if you’d like your music to be featured on our channel. 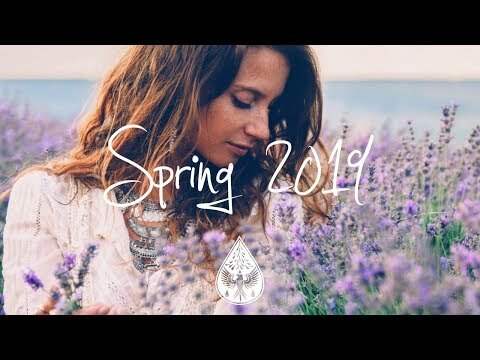 🎵 DOWNLOAD THIS COMPILATION: http://hyperurl.co/IndieApril2019 💿 Tracklist: 0:00 Harrison Storm – ‘Run’ https://spoti.fi/2CAzEPe https://www.facebook.com/harrisonstormmusic/ Download: https://apple.co/2OyN8Qx 3:09 Children of Indigo -- ‘Daisies’ https://spoti.fi/2FyEvkR https://www.facebook.com/childrenofindigoband/ Download: http://hyperurl.co/IndieApril2019 6:07 Tennis Club -- 'Morning’ https://spoti.fi/2CE37bg https://soundcloud.com/thetennisclub Download: http://hyperurl.co/IndieApril2019 10:07 Firewoodisland -- ‘Storm’ https://spoti.fi/2FCnffM https://www.facebook.com/firewoodisland/ Download: http://hyperurl.co/IndieApril2019 13:28 Archie Faulks – ‘Hung Up’ https://spoti.fi/2UdRD88 https://www.facebook.com/archiefaulks/ Download: https://apple.co/2Oo5ByS 16:38 Kevin Garrett -- 'Don’t Rush’ https://spoti.fi/2HIgif5 https://www.facebook.com/kevingarrettmusic/ Download: https://apple.co/2CFWJQu 20:14 Wild Rivers -- ‘Moving Target’ https://spoti.fi/2JGKjhd https://www.facebook.com/wildriversband/ Download: https://apple.co/2TvL9gF 23:43 Patrick James -- ‘UP’ https://spoti.fi/2FATLPl https://www.facebook.com/musicofpatrickjames/ Download: https://apple.co/2usRsXY 26:35 James Spaite -- ‘Killowen’ https://spoti.fi/2WqsLHL https://www.facebook.com/JamesSpaite/ Download: http://hyperurl.co/IndieApril2019 30:12 In the City -- ‘1985’ https://spoti.fi/2UWQP4A https://www.facebook.com/inthecityband/ Download: http://hyperurl.co/IndieApril2019 34:02 Jesse Taylor -- ‘Naeco’ https://spoti.fi/2HFnRDp https://www.facebook.com/jessetaylorau/ Download: http://hyperurl.co/IndieApril2019 37:13 Chris Ayer -- ‘Mad Eye’ https://spoti.fi/2uwlxpy https://www.facebook.com/chrisayer/ Download: http://hyperurl.co/IndieApril2019 40:36 Vinten -- ‘Arrows’ https://spoti.fi/2CDBbE5 https://www.facebook.com/vintenmusic/ Download: https://apple.co/2YoFmx6 45:03 Ian Janco -- 'Different Kind Of Love’ https://spoti.fi/2FrPCMg https://www.facebook.com/Ianjancomusic/ Download: http://hyperurl.co/IndieApril2019 48:08 Victoria Bigelow -- ‘Sweet Thing’ https://spoti.fi/2FCcpWZ https://www.facebook.com/victoriabigelowmusic/ Download: http://hyperurl.co/IndieApril2019 50:30 Galen Crew -- ‘Echoes’ https://spoti.fi/2YkFtcZ https://www.facebook.com/galencrew/ Download: https://apple.co/2HSxKwN 53:56 Aaron B. Thompson -- ‘No More’ https://spoti.fi/2H5QUiA https://www.facebook.com/AaronBThompsonMusic/ Download: http://hyperurl.co/IndieApril2019 57:26 Mike Edel -- ‘Could We End Up Like This’ https://spoti.fi/2JFLtK0 https://www.facebook.com/mikeedelmikeedel/ Download: https://apple.co/2JCxHHY 1:01:01 Reddening West -- ‘Wander On’ https://spoti.fi/2TXrFGx https://www.facebook.com/reddeningwest/ Download: http://hyperurl.co/IndieApril2019 1:03:26 Ben Reneer -- ‘Off My Mind’ https://spoti.fi/2FAW98L https://www.facebook.com/benreneermusic/ Download: http://hyperurl.co/IndieApril2019 1:07:12 Mark Klaver -- ‘Sugar Sweet’ https://spoti.fi/2HUGxOH https://www.facebook.com/markklavermusic/ Download: http://hyperurl.co/IndieApril2019 1:10:13 Christian Spence -- ‘Make It’ https://spoti.fi/2FsIvmS https://christianspencemusic.com/ Download: http://hyperurl.co/IndieApril2019 1:13:58 Jaren Scott-- ‘Better Things’ https://spoti.fi/2FAxocM https://www.facebook.com/jarenscottmusic/ Download: http://hyperurl.co/IndieApril2019 1:16:48 Little Monarch -- ‘Tangerine’ https://spoti.fi/2JGMjq1 https://www.facebook.com/littlemonarch/ Download: https://apple.co/2FAxYHj 1:20:22 St. Anthony Mann – ‘Autumn Room’ https://spoti.fi/2HIiALd https://www.facebook.com/St-Anthony-Mann-2181865825361919/ Download: http://hyperurl.co/IndieApril2019 🎵 DOWNLOAD THIS COMPILATION: http://hyperurl.co/IndieApril2019 🌧️ 🐦 Find alexrainbirdMusic on: Official website: http://www.alexrainbirdmusic.com/ Spotify: https://open.spotify.com/user/alxrnbrdmusic/playlist/1cwmC5BQ6IIuLsbyZNBIJl Facebook: https://www.facebook.com/alexrainbirdMusic Twitter: https://twitter.com/alxrnbdMusic Soundcloud: https://soundcloud.com/alexrainbirdmusic Instagram: https://instagram.com/alexrainbirdmusic/ Patreon: https://www.patreon.com/alexrainbirdMusic 👕 Official merchandise: https://www.teepublic.com/stores/alexrainbirdmusic ❓ About alexrainbirdMusic: Since 2011, Alex Rainbird has been discovering and showcasing the very best in independent music. Joined by his girlfriend Beth as of 2017, the couple feature over 70 new artists a month, and hope to provide the best platform for underrated musicians to be heard and for viewers to find their new favourite band. Join their +600,000 subscribers today to be the first to hear the finest independent music! 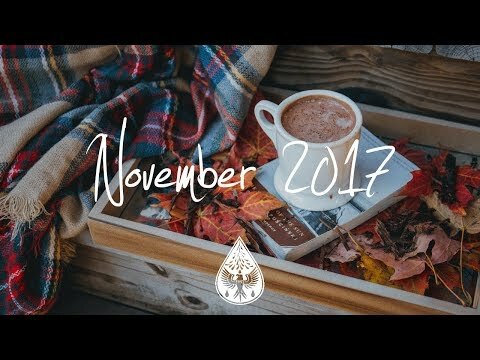 Discover the best new indie, pop & folk music in my November compilation! Tracklist & download below… LISTEN ON SPOTIFY: http://spoti.fi/2xtPy9C » Subscribe to be the first to hear the best new independent music! 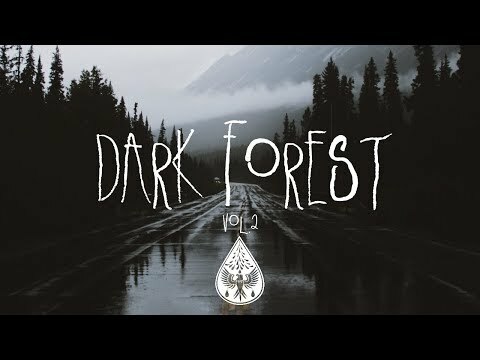 http://bit.ly/145fFnx ✉ Please contact alexrainbirdmusic@gmail.com if you’d like your music to be featured on my channel. DOWNLOAD THIS COMPILATION: http://hyperurl.co/IndieNovember17 Tracklist: 0:00 Son Mieux -- ‘Feels’ http://spoti.fi/2yGwnNF https://www.facebook.com/sonmieux/ Download: http://apple.co/2yIv80B 3:22 Clouds And Thorns -- ‘Come Say Hello’ http://spoti.fi/2sgZe89 https://www.facebook.com/CloudsAndThorns/ Download: http://hyperurl.co/ComeSayHello 6:23 Old Sea Brigade -- 'Tidal Wave’ http://spoti.fi/1n9pY3R https://www.facebook.com/oldseabrigade/ Download: http://apple.co/2y2Oxtz 9:33 Willolux -- ‘Drowning (Tell Me a Lie)’ https://www.facebook.com/willolux/ http://spoti.fi/2tt0zWx Download: http://hyperurl.co/IndieNovember17 13:27 Didirri -- 'Blind You' https://www.facebook.com/Didirri/ http://spoti.fi/2nl2SLV Download: http://apple.co/2h7J3TU 16:10 Callum Pitt -- 'Rabbits’ https://www.facebook.com/callumpittmusic/ http://spoti.fi/2tm480n Download: http://hyperurl.co/IndieNovember17 20:23 Book On Tape Worm -- ‘Brightest’ http://spoti.fi/2h5IoSH https://www.facebook.com/bookontapeworm/ Download: http://hyperurl.co/IndieNovember17 23:22 Edan Laniado -- ‘Brains Remain (feat. Orin Jacobson)’ http://spoti.fi/2yK03a6 https://www.facebook.com/elaniadomusic/ Download: http://hyperurl.co/IndieNovember17 26:54 Adam Holmes and The Embers -- ‘People Come People Go’ https://www.facebook.com/adamholmesandtheembers/ http://spoti.fi/2fLcUR9 Download: http://hyperurl.co/IndieNovember17 30:01 Wolf and Willow -- ‘Heart On Fire’ http://spoti.fi/2saA8W5 https://www.facebook.com/wolfandwillow/ Download: http://hyperurl.co/IndieNovember17 34:21 Sum Barings -- ‘All Seasons’ http://spoti.fi/2gGs79W https://www.facebook.com/sumbaringsmusic/ Download: http://hyperurl.co/IndieNovember17 38:05 Cataldo -- ‘Photograph’ http://spoti.fi/2yQDLWx https://www.facebook.com/cataldomusic/ Download: http://apple.co/2gG5sun 42:02 Daniel Ahearn -- 'Out Of My Mind' http://spoti.fi/2oEPgIl https://www.facebook.com/danielahearnmusic/ Download: http://apple.co/2iwDOQS 44:58 Will Heggadon -- ‘Sinking In’ http://spoti.fi/2wbTkoc https://www.facebook.com/willheggadonmusic/ Download: http://hyperurl.co/IndieNovember17 48:49 Mar -- 'Anything' http://spoti.fi/2y3WBW6 https://www.facebook.com/marsongs/ Download: http://hyperurl.co/IndieNovember17 52:49 Runabay -- 'Too Soon (Reverie)' http://spoti.fi/2u2Mhfq https://www.facebook.com/runabayband/ Download: http://hyperurl.co/IndieNovember17 56:14 OH LA KANADA -- ‘Fantasy’ http://spoti.fi/2yJjeTQ https://www.facebook.com/OHLAKANADA/ Download: http://hyperurl.co/IndieNovember17 1:00:08 Narrow Plains -- ‘Ghost’ https://www.facebook.com/narrowplains/ http://spoti.fi/2ri1I1t Download: http://hyperurl.co/IndieNovember17 1:03:53 The Last Dinosaur -- ‘Grow’ http://spoti.fi/2xk2miB https://www.facebook.com/thelastdinosauruk/ Download: http://apple.co/2y3ifyl 1:06:53 Polar Bears Can Dance -- ‘Mixtapes (feat. Craig Webb)’ http://spoti.fi/2l7vG9P https://www.facebook.com/polarbearscandance/ Download: http://hyperurl.co/IndieNovember17 1:09:39 ARCAVES -- ‘Familiar Stranger’ http://spoti.fi/2zAwPK2 https://www.facebook.com/ARCAVESMUSIC/ Download: http://hyperurl.co/IndieNovember17 1:13:23 Dorin Yanni & The Band -- ‘Move Your Body’ https://soundcloud.com/dorin-yanni-the-band https://www.facebook.com/dorinyanniandtheband/ Download: N/A 1:16:54 Jolé -- ‘Clutter’ https://www.facebook.com/thisisJole/ http://spoti.fi/1Ou5Ssq Download: http://hyperurl.co/IndieNovember17 DOWNLOAD THIS COMPILATION: http://hyperurl.co/IndieNovember17 🌧️ Find alexrainbirdMusic on: 🐦 Official website: http://www.alexrainbirdmusic.com/ Patreon (to raise money for a music festival! ): https://www.patreon.com/alexrainbirdMusic Facebook: https://www.facebook.com/alexrainbirdMusic Twitter: https://twitter.com/alxrnbdMusic Spotify: https://open.spotify.com/user/alxrnbrdmusic/playlist/3fXgOc95i2oevn5jdK0JAY Soundcloud: https://soundcloud.com/alexrainbirdmusic Instagram: https://instagram.com/alexrainbirdmusic/ Official merchandise: https://www.teepublic.com/user/alexrainbirdmusic About alexrainbirdMusic: Since 2011, Alex Rainbird has been hunting down and showcasing the very best in independent music. Featuring over 70 new artists a month, Alex hopes to provide a platform for underrated musicians to be heard and for viewers to find their new favourite band. Join Alex's +320,000 subscribers today to be the first to hear the finest independent music! 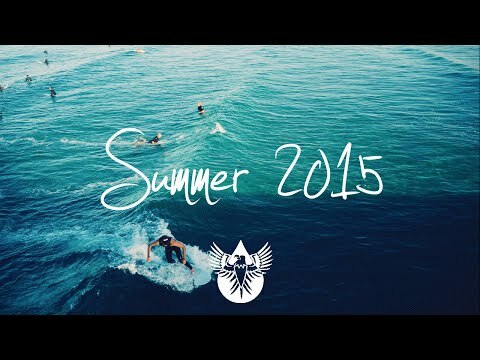 Feel the summer vibes with our new pop/folk music selection! Tracklist & Spotify link below… LISTEN ON SPOTIFY: https://spoti.fi/2LxyGW5 » Subscribe to be the first to hear the best new independent music! http://bit.ly/145fFnx ✉ Please contact alexrainbirdmusic@gmail.com if you’d like your music to be featured on our channel. 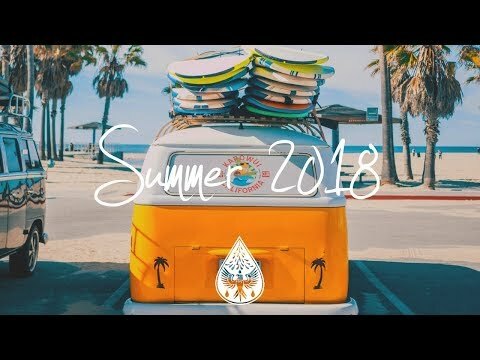 DOWNLOAD THIS COMPILATION: http://hyperurl.co/IndieSummer18 Tracklist: 0:00 Animal Island -- ‘Gimme That Sunshine’ https://spoti.fi/2JddDeJ https://www.facebook.com/animalislandmusic/ Download: https://apple.co/2Hp1eyo 3:16 The Well Pennies – ‘Drive’ https://spoti.fi/2xIWzI6 https://www.facebook.com/thewellpennies/ Downloads: https://apple.co/2qYrz07 7:29 Honoraries -- 'Deep Into The Wild (feat.Volunteer) https://spoti.fi/2LpYp2x https://www.facebook.com/honorariesmusic/ Download: http://hyperurl.co/IndieSummer18 12:18 Miles Graham -- ‘Let It Shine’ https://spoti.fi/2sAk4Oy https://www.facebook.com/MilesGrahammusic/ Download: https://apple.co/2kQHH15 16:08 Layto -- 'The Way’ https://spoti.fi/2sypcmy https://www.facebook.com/LaytoOfficial/ Download: http://hyperurl.co/IndieSummer18 19:40 KAWALA -- 'Funky’ https://spoti.fi/2kSav9B https://www.facebook.com/KawalaOfficial/ Download: https://apple.co/2LseRPI 23:00 Dustin Paul -- ‘Lucky Day’ https://spoti.fi/2sAIsQ1 https://www.facebook.com/DustinPaulMusic/ Download: http://hyperurl.co/IndieSummer18 26:22 Pandas & People -- ‘Find You’ https://spoti.fi/2M3MvwD https://www.facebook.com/pandasandpeopleband/ Download: http://hyperurl.co/IndieSummer18 29:30 Nauset Light -- ‘Where We Belong (feat. 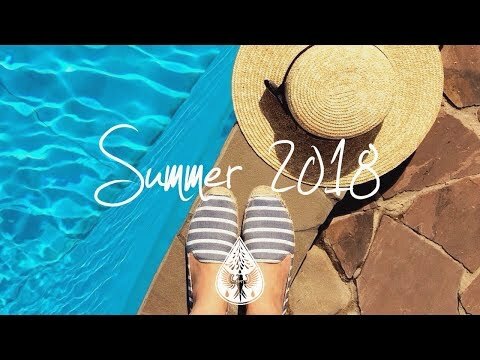 Allie Crystal)’ https://spoti.fi/2M23T4Q https://www.facebook.com/nausetlightmusic/?ref=br_rs Download: http://hyperurl.co/IndieSummer18 32:25 Wild Sons -- ‘Illuminate’ https://spoti.fi/2xNNHRr https://www.facebook.com/wearewildsons/ Download: http://hyperurl.co/IndieSummer18 36:08 Willow City -- ‘Rise Of The Sun’ https://spoti.fi/2HpQcsM https://www.facebook.com/WillowCityMusic/ Download: http://hyperurl.co/IndieSummer18 39:56 Bird Passengers -- ‘Light and the Fire’ https://spoti.fi/2sHWqit https://www.facebook.com/birdpassengers/ Download: http://hyperurl.co/IndieSummer18 44:05 Julian Roy -- ‘People Who Love You’ https://spoti.fi/2JeUdpZ https://www.facebook.com/JulianRoyMusic/ Download: http://hyperurl.co/IndieSummer18 47:27 All Faces -- 'Summer In London’ https://spoti.fi/2LniJld https://www.facebook.com/allfacesband/ Download: http://hyperurl.co/IndieSummer18 50:48 The Happy Fits -- ‘Achey Bones’ https://spoti.fi/2JzN2Yw https://www.facebook.com/TheHappyFits/ Download: https://apple.co/2kUsPPk 54:09 Jake Scott – ‘Whole Lives’ https://spoti.fi/2Jz2AMa https://www.facebook.com/tossingcopper/ Download: http://hyperurl.co/IndieSummer18 57:34 Snow Coats -- ‘So Sincere’ https://spoti.fi/2sw78cD https://www.facebook.com/snowcoats/ Download: http://hyperurl.co/IndieSummer18 1:01:15 LaFrantz – ‘Violet Lightning’ https://spoti.fi/2M1HwfX https://www.facebook.com/lafrantzmusic/ Download: https://apple.co/2sJ1NxW 1:04:49 Echo Nebraska -- ‘Follow Me’ https://spoti.fi/2szexrt https://www.facebook.com/echonebraska/ Download: http://hyperurl.co/IndieSummer18 1:07:46 Sub-Radio -- ‘Headfirst’ https://spoti.fi/2Jdjlx8 https://www.facebook.com/subradioband/ Download: http://hyperurl.co/IndieSummer18 DOWNLOAD THIS COMPILATION: http://hyperurl.co/IndieSummer18 🌧️ Find alexrainbirdMusic on: 🐦 Official website: http://www.alexrainbirdmusic.com/ Spotify: https://open.spotify.com/user/alxrnbrdmusic/playlist/2gCHaXDsqqmjpec20FN5Lc Facebook: https://www.facebook.com/alexrainbirdMusic Patreon: https://www.patreon.com/alexrainbirdMusic Twitter: https://twitter.com/alxrnbdMusic Soundcloud: https://soundcloud.com/alexrainbirdmusic Instagram: https://instagram.com/alexrainbirdmusic/ Official merchandise: https://www.teepublic.com/stores/alexrainbirdmusic About alexrainbirdMusic: Since 2011, Alex Rainbird has been hunting down and showcasing the very best in independent music. Joined by his girlfriend Beth as of 2017, the couple feature over 70 new artists a month, and hope to provide a platform for underrated musicians to be heard and for viewers to find their new favourite band. Join their +420,000 subscribers today to be the first to hear the finest independent music! 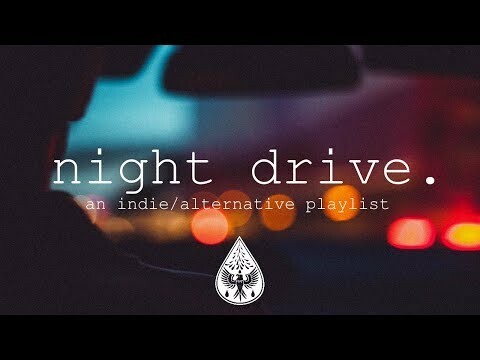 Take a late-night drive with this vibey & atmospheric indie playlist! Tracklist & Spotify link below… 👇 LISTEN ON SPOTIFY: https://spoti.fi/2IZWDoW » Subscribe to be the first to hear the best new independent music! http://bit.ly/145fFnx ✉ Please contact alexrainbirdmusic@gmail.com if you’d like your music to be featured on our channel. 💿 Tracklist: 0:00 The Paper Kites -- ‘Deep Burn Blue’ https://spoti.fi/2IP97jg https://www.facebook.com/thepaperkitesband/ Download: https://apple.co/2C94OxL 4:31 Streets of Roya -- ‘Prisoner’ https://spoti.fi/2PqIinN https://www.facebook.com/streetsofroya/ Download: https://apple.co/2CDhUED 7:46 The Hollow Men -- 'Speak’ https://spoti.fi/2Pts0uk https://www.facebook.com/thehollowmens/ Download: https://fanlink.to/SpeakTHM 11:01 Tia Gostelow – ‘Strangers’ https://apple.co/2OjTvGT https://www.facebook.com/TiaGostelowMusic/ Download: https://apple.co/2OjTvGT 13:57 Klondike -- ‘Healing’ https://spoti.fi/2QD9D6y https://www.facebook.com/klondikeband/ Download: https://apple.co/2OKy954 17:36 Francis Moon -- 'Baby, I Know It’ https://spoti.fi/2ITVAad https://www.facebook.com/FrancisMoonMusic/ Download: https://apple.co/2GyVMtn 20:52 JC Stewart -- ‘Medicine’ https://spoti.fi/2C6XHWu https://www.facebook.com/IAMJCSTEWART/ Download: https://apple.co/2CBJgeg 24:21 Talk Time -- ‘Desperate Weather’ https://spoti.fi/2REFqp7 https://www.facebook.com/talktimeband/ Download: https://apple.co/2CBoN9r 28:14 Festive People -- ‘Behave’ https://spoti.fi/2IPgd73 https://www.facebook.com/festivepeoplemusic/ Download: https://apple.co/2Ebwc0N 31:30 Aaron B. Thompson -- ‘Pulse’ https://spoti.fi/2OhbroU https://www.facebook.com/AaronBThompsonMusic/ Download: https://apple.co/2RBcmPf 35:07 Sisters On Wire -- ‘My Heart Is Beating’ https://spoti.fi/2C5Wvmt https://www.facebook.com/sisters.on.wire/ Download: https://apple.co/2IPaX3E 39:01 Paul De Leon -- ‘Criminals’ https://spoti.fi/2pNdXEJ https://www.facebook.com/pauldeleonmusic/ Download: https://apple.co/2OfAfxA 42:43 The Paper Kites -- ‘When It Hurts You’’ https://spoti.fi/2IP97jg https://www.facebook.com/thepaperkitesband/ Download: https://apple.co/2C94OxL 47:28 LAVE -- ‘Washed Wine’ https://spoti.fi/2pOKQ48 https://www.facebook.com/thecolorlave/ Download: https://apple.co/2n9qxfS 51:03 Ben Reneer -- ’Swallow’ https://spoti.fi/2C8NR6s https://www.facebook.com/benreneermusic/ Download: https://apple.co/2PpoUaY 54:38 The Hollow Men -- ‘City Lights’ https://spoti.fi/2Pts0uk https://www.facebook.com/thehollowmens/ Download: https://apple.co/2yhr1a9 57:54 Whitefield -- ‘What Are You Waiting For’ https://spoti.fi/2NBoSuN https://www.facebook.com/whitefieldmusic/ Download: https://apple.co/2y8Hpd5 1:01:05 Firewoodisland -- ‘Molehills (Album Version)’ https://spoti.fi/2pOm97C https://www.facebook.com/firewoodisland/ Download: https://apple.co/2NAXRYm 1:04:53 The Night Heron -- ‘Empty Houses’ https://spoti.fi/2EbINAU https://www.facebook.com/TheNightHeron/ Download: https://apple.co/2INSZOJ 1:08:49 Native -- ‘Slowly Fading’ https://spoti.fi/2IQmrUe https://www.facebook.com/iannorthmusic/ Download: https://apple.co/2OWyp4c 1:12:20 Richard Walters -- ‘This Fire’ https://spoti.fi/2A3AbIL https://www.facebook.com/Richardwaltersmusic/ Download: https://apple.co/2PqPzUD 🌧️ 🐦 Find alexrainbirdMusic on: Official website: http://www.alexrainbirdmusic.com/ Spotify: https://open.spotify.com/user/alxrnbrdmusic/playlist/2gCHaXDsqqmjpec20FN5Lc Facebook: https://www.facebook.com/alexrainbirdMusic Patreon (to raise money for a music festival! ): https://www.patreon.com/alexrainbirdMusic Twitter: https://twitter.com/alxrnbdMusic Soundcloud: https://soundcloud.com/alexrainbirdmusic Instagram: https://instagram.com/alexrainbirdmusic/ 👕 Official merchandise: https://www.teepublic.com/user/alexrainbirdmusic ❓ About alexrainbirdMusic: Since 2011, Alex Rainbird has been hunting down and showcasing the very best in independent music. Joined by his girlfriend Beth as of 2017, the couple feature over 70 new artists a month, and hope to provide a platform for underrated musicians to be heard and for viewers to find their new favourite band. Join their +500,000 subscribers today to be the first to hear the finest independent music! » Subscribe to be the first to hear the best new independent music: https://www.youtube.com/c/IndieVibes1?sub_confirmation=1 Tracklist: 0:00 WILD – It Only Gets Better Video: https://youtu.be/KSsOI3cQ5zo 3:24 Lakelands – I’ll Be The Fire Video: https://youtu.be/XY8oICCCewA 6:55 Patrick James – Future In You Video: https://youtu.be/eiA0R9o5y9Y 10:32 The Parlotones – Beautiful Life Video: https://youtu.be/4yVOqDxcdTY 14:15 Paden – Northern Wind Video: https://youtu.be/LZ2lA9YUbfk 18:22 The Currys – Gulf Coast Home Video: https://youtu.be/J6RIly6xHIs 21:30 Stepsons – L.A. 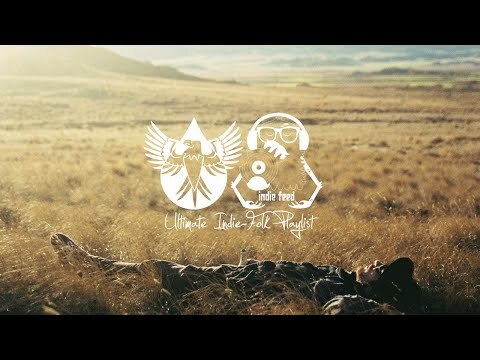 Morning Video: https://youtu.be/_pYmQjhmXNY 24:56 The Half Eight – End It Right Video: https://youtu.be/Or0N_7Z_U6E 28:39 MR CALL – Livin’ It Up Video: https://youtu.be/hKw3Epa93VI 31:33 Lance Tingey – Hallelujah Video: https://youtu.be/TAYCNaPI3Xw 34:34 Matt Hartke – Leave A Message Video: https://youtu.be/Qzuyg0vLRqs 37:51 Elliah Heifetz – American Goldfinch Video: https://youtu.be/NhX-REhW2mE 40:18 Mabaleka – Crashed Video: https://youtu.be/Q6uQQCDP5NY 43:55 Lost In Caravaggio – Another Blue Sky Video: https://youtu.be/eRcyCRPUW8Q 48:43 Isaac Gracie – Show Me Love Video: https://youtu.be/NklsbryAlS8 51:56 La Bouquet – 1990 Video: https://youtu.be/R0UneJUUyyA 55:27 Joe Slater – Rainbow Video: https://youtu.be/fNj1JJHT0X8 58:47 Will Church – Place We Belong Video: https://youtu.be/BeK_S-F_eT0 1:01:49 The Currys – Pin You Down Video: https://youtu.be/OhG8l6zzKOo 1:05:12 Jae Jin – Book In The Cloud Video: https://youtu.be/w1rmur91Y1U 1:08:48 Josiah Noska – Proposal Song Video: https://youtu.be/MVkQ0ZCKlJ8 1:12:07 Collington – Mountain Video: https://youtu.be/XscyTv4ejPg 1:16:01 Roo Panes – The Commentator Video: https://youtu.be/YKeOerm-XFE 1:19:49 Hazlett – Fireworks Video: https://youtu.be/FTdfjS8bGbI 1:23:47 Jules Gabriel – Stand By My Crew Video: https://youtu.be/mh8lH-ALDfg 1:26:38 Greg Duffy – Just For Tonight Video: https://youtu.be/prGDlkZG9aA 1:30:10 Ollie Wade – H.W.L. Video: https://youtu.be/T6YE3_IDdtk 1:33:43 Damien McFly – Mesmerised Video: https://youtu.be/QfF_nqKe1bo 1:37:06 Native Kingdom – Wind And Waters Video: https://youtu.be/xAoPSpkL7MI 1:40:55 The Wild State – Youth Video: https://youtu.be/epg5qpYo-Eo 1:45:08 Elliah Heifetz – Jerusalem Video: https://youtu.be/cmXqRFa-DMo 1:48:03 Oskar Nordbø – Tired Of Sleeping Video: https://youtu.be/4oeKn8DYClM 1:51:39 How Great Were The Robins – Trembling Care Video: https://youtu.be/uUXuGKbIvCY 1:54:41 Strangers – Blue Eyed Boy Video: https://youtu.be/7jBzvfvYOnw 1:57:56 Jonas Källstrand – Dynamite Video: https://youtu.be/1rATNAuij4Q 2:00:56 The Two Romans – Secrets Video: https://youtu.be/yT7RFAefJpY 2:05:20 Judy Blank – Tangled Up In You Video: https://youtu.be/3Pa1Hrst8zQ 2:08:25 Chelsea Storm – Alive Video: https://youtu.be/pOVQUSyiPpM Support IndieVibes on: Like on Facebook➥ https://www.facebook.com/IndieVibesMusic/ Listen on SoundCloud➥ https://soundcloud.com/indievibes1 Subscribe on YouTube➥ https://www.youtube.com/c/IndieVibes1 ✉ Please contact jellevanderlinden16@gmail.com if you’d like your music to be featured on my channel! 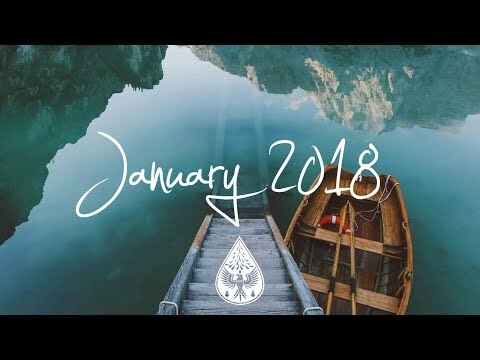 Discover the best new indie, pop & folk music in my January compilation! Tracklist & download below… LISTEN ON SPOTIFY: http://spoti.fi/2ErtjoI » Subscribe to be the first to hear the best new independent music! http://bit.ly/145fFnx ✉ Please contact alexrainbirdmusic@gmail.com if you’d like your music to be featured on my channel. DOWNLOAD THIS COMPILATION: http://hyperurl.co/IndieJanuary2018 Tracklist: 0:00 Jardier -- ‘Pieces’ http://spoti.fi/2yTtqoX https://www.facebook.com/Jardiermusic/ Download: http://apple.co/2CZn8rg 3:45 WILD -- ‘Throw Me In The Water’ http://spoti.fi/2upOkeR https://www.facebook.com/wildofficialus/ Download: http://apple.co/2AVmGZv 7:21 Donovan Woods -- 'It’ll Work Itself Out’ http://spoti.fi/2yTkKPu https://www.facebook.com/donovanwoodsmusic/ Download: http://apple.co/2yUn1Kl 10:17 Sleeping Lion -- ‘Stop It (Stripped)’ http://spoti.fi/1IA4bvS https://www.facebook.com/SleepingLionMusic/ Download: http://apple.co/2CBm3os 13:36 Jordan Ruiz -- 'World Of Blue' http://www.thejordanruiz.com/ http://www.facebook.com/jordanruizmusic Instagram: @thejordanruiz Download : http://apple.co/2CAFVbt 16:15 When Chai Met Toast -- 'Firefly’ http://spoti.fi/2yUqiZS https://www.facebook.com/whenchaimettoast/ Download: http://hyperurl.co/IndieJanuary2018 19:44 All The Luck In The World -- ‘Golden October’ http://spoti.fi/2CBubp3 https://www.facebook.com/alltheluckintheworld/ Download: http://apple.co/2BEmdi9 23:28 Aaron Espe -- ‘Guardian Angel, You Can Go Now’ http://spoti.fi/2BI6lv6 https://www.facebook.com/aaronespepage/ Download: http://apple.co/2BvW9D4 26:55 Abraham -- ‘Burn Bright’ http://www.abrahammusic.info/ https://www.facebook.com/abrahammusic.info http://www.instagram.com/music.abraham Download: http://hyperurl.co/IndieJanuary2018 30:46 Union Moon -- ‘Red Bow’ http://spoti.fi/2AW51B6 https://www.unionmoon.com/ Download: http://apple.co/2kh3YFm 34:07 Ed Patrick -- ‘Man Overboard’ http://spoti.fi/2fZGh2x https://www.facebook.com/edpatrickuk/ Download: http://apple.co/2ySrQUd 37:38 James Walker -- ‘Landslide’ http://spoti.fi/2u3NXcv https://www.facebook.com/jameswalkermusic/ Download: http://hyperurl.co/IndieJanuary2018 40:10 August Green -- ‘Pictures’ http://spoti.fi/2kJFdkJ https://www.facebook.com/augustgreenmusic/ Download: http://hyperurl.co/IndieJanuary2018 44:43 lilly among clouds -- 'Your Hands Are Like Home' http://spoti.fi/2oHHZw8 https://www.facebook.com/music.lilly/ Download: http://apple.co/2kIyirQ 48:13 Tors -- 'Seventeen' http://spoti.fi/2AQJY6f https://www.facebook.com/Torsband/ Download: http://hyperurl.co/IndieJanuary2018 51:31 Chris Molitor -- ‘Lost’ http://spoti.fi/2z05Tni https://www.facebook.com/chrismolitor/ Download: http://apple.co/2AUTnpA 54:54 Miki Fiki -- ‘Stranger’ http://spoti.fi/2CYWpLw https://www.facebook.com/RealMikiFiki/ Download: http://hyperurl.co/IndieJanuary2018 58:44 Misty Boyce -- ‘Oh Marie’ http://spoti.fi/2sUuWbR https://www.facebook.com/Misty-Boyce-79940408788/ Download: http://apple.co/2AY1BxH 1:02:34 MALMØ -- ‘You’ http://spoti.fi/2oFsNQa https://www.facebook.com/mariamalmoe/ Download: http://hyperurl.co/IndieJanuary2018 1:05:38 Lofty Stills -- ‘Days Of Wine’ https://www.facebook.com/loftystills/ https://www.facebook.com/DAPmusic/ Download: http://hyperurl.co/IndieJanuary2018 1:09:25 Sofia Dragt -- ‘Lighter’ http://spoti.fi/2BvZbHH https://www.facebook.com/sofia.dragt/ Download: http://apple.co/2oL9wNl 1:13:13 Dave Thomas Junior -- ‘All Good’ http://spoti.fi/2sPnlZh https://www.facebook.com/davethomasjnr/ Download: http://hyperurl.co/IndieJanuary2018 DOWNLOAD THIS COMPILATION: http://hyperurl.co/IndieJanuary2018 PHOTO CREDIT: @tobymacthomann https://www.instagram.com/tobymacthomann/ 🌧️ Find alexrainbirdMusic on: 🐦 Official website: http://www.alexrainbirdmusic.com/ Spotify: https://open.spotify.com/user/alxrnbrdmusic/playlist/2gCHaXDsqqmjpec20FN5Lc Facebook: https://www.facebook.com/alexrainbirdMusic Patreon (to raise money for a music festival! ): https://www.patreon.com/alexrainbirdMusic Twitter: https://twitter.com/alxrnbdMusic Soundcloud: https://soundcloud.com/alexrainbirdmusic Instagram: https://instagram.com/alexrainbirdmusic/ Official merchandise: https://www.teepublic.com/user/alexrainbirdmusic About alexrainbirdMusic: Since 2011, Alex Rainbird has been hunting down and showcasing the very best in independent music. Joined by his girlfriend Beth as of 2017, the couple feature over 70 new artists a month, and hope to provide a platform for underrated musicians to be heard and for viewers to find their new favourite band. Join their +350,000 subscribers today to be the first to hear the finest independent music! 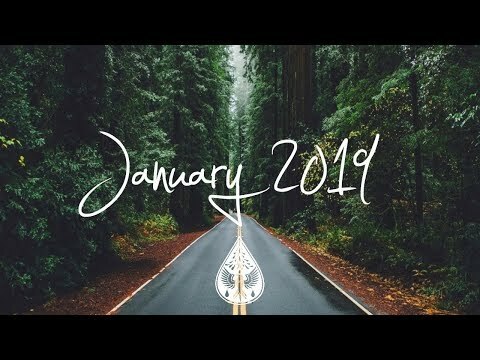 Listen to the best indie, rock & alt music in our new January ‘19 compilation! Tracklist and download below… 👇 LISTEN ON SPOTIFY: https://spoti.fi/2s7HH0l » Subscribe to be the first to hear the best new independent music! http://bit.ly/145fFnx ✉ Please contact alexrainbirdmusic@gmail.com if you’d like your music to be featured on our channel. 🎵 DOWNLOAD THIS COMPILATION: http://hyperurl.co/IndieRockJanuary19 💿 Tracklist: 0:00 TEN FÉ - ‘Won’t Happen’ https://spoti.fi/2AfIAII https://www.facebook.com/tenfemusic/ Download: https://apple.co/2EMEKdb 3:49 Roseburg - ‘Stay Golden’ https://spoti.fi/2Q58Yu3 https://www.facebook.com/roseburgband/ Download: http://hyperurl.co/IndieRockJanuary19 7:46 The Covasettes - ‘Top Drawer’ https://spoti.fi/2VdABVq https://www.facebook.com/thecovasettes/ Download: http://hyperurl.co/IndieRockJanuary19 10:47 Spinn - ‘Bliss’ https://spoti.fi/2EMVgtM https://www.facebook.com/spinnband/ Download: https://apple.co/2BL2Vph 13:50 The Hails - ‘Stay’ https://spoti.fi/2RiJbTv https://www.facebook.com/thehailsofficial/ Download: https://apple.co/2SiC8rn 16:23 Spacey Jane - 'Sawteeth’ https://spoti.fi/2Qs8hiz https://www.facebook.com/JaneySpace/ Download: http://hyperurl.co/IndieRockJanuary19 20:18 Only Sun - ‘Happiness (All My Friends)’ https://spoti.fi/2LG5o96 https://www.facebook.com/onlysunofficial/ Download: https://apple.co/2QQmruS 23:31 The Kelseys - ‘Forester Drive’ https://spoti.fi/2Q3eg9b https://www.facebook.com/thekelseysband/ Download: http://hyperurl.co/IndieRockJanuary19 26:52 Vacances - ‘Kids’ https://spoti.fi/2BHRyhN https://www.facebook.com/VacancesNY/ Download: http://hyperurl.co/IndieRockJanuary19 30:17 Friends At The Falls - ‘Streetlight Kids’ https://spoti.fi/2QUzrPW https://www.facebook.com/friendsatthefalls/ Download: http://hyperurl.co/IndieRockJanuary19 34:50 Cumulus - 'Lighter’ https://spoti.fi/2ShD8wk https://www.facebook.com/cumulus.songs/ Download: https://apple.co/2CEbrsa 38:50 Nevada Color - ‘Outsiders’ https://spoti.fi/2Rhdhag https://www.facebook.com/NevadaColorMusic/ Download: http://hyperurl.co/IndieRockJanuary19 42:00 Rylands Heath - ‘Work of Art’ https://spoti.fi/2EQ6caF https://www.facebook.com/RylandsHeath/ Download: https://apple.co/2rVB1Cm 44:52 Paris Youth Foundation - 'Jessica’ https://spoti.fi/2ENfZ0s https://www.facebook.com/parisyouthfoundation/ Download: https://apple.co/2AcEZLx 48:26 NOAHS - ‘Suddenly’ https://spoti.fi/2Q5IhFg https://www.facebook.com/noahstheband/ Download: http://hyperurl.co/IndieRockJanuary19 52:13 Creature Canyon - ‘Take What You Want’ https://spoti.fi/2FYaiie https://www.facebook.com/CreatureCanyon/ Download: https://apple.co/2Q16bqD 55:49 Nick Horn - 'Hungry Amoeba’ https://spoti.fi/2QSay7F https://www.facebook.com/nickhornmusic/ Download: http://hyperurl.co/IndieRockJanuary19 59:27 Simple Fiction - ‘Feel’ https://spoti.fi/2CARn9D https://www.facebook.com/SimpleFictionUK/ Download: http://hyperurl.co/IndieRockJanuary19 1:03:48 River Fury - 'Five Year Plan’ https://spoti.fi/2ESdfQk https://www.facebook.com/riverfury/ Download: http://hyperurl.co/IndieRockJanuary19 1:06:36 Pastis - 'Amazon’ https://spoti.fi/2TbKvoB https://www.facebook.com/PastisPastisPastis/ Download: https://apple.co/2Q9yxdu 1:09:34 Lost Woods - ‘My Amazon’ https://spoti.fi/2Rio9EN https://www.facebook.com/lostwoodsmusic/ Download: http://hyperurl.co/IndieRockJanuary19 1:13:10 Young Robin - ‘Spaces’ https://spoti.fi/2EQvxAv https://www.facebook.com/YoungRobinBand/ Download: https://apple.co/2VdNwqo 1:16:11 Only - ‘What Have We Done (Simple Math)’ https://spoti.fi/2Q9zcvu https://www.facebook.com/thebandonly/ Download: https://apple.co/2GHd385 1:19:07 Carousel - ‘Don’t Let It Die’ https://spoti.fi/2EP93zO https://www.facebook.com/CarouselUK/ Download: http://hyperurl.co/IndieRockJanuary19 1:22:25 DENIO - ‘These Words Repeat’ https://spoti.fi/2Vee8HC https://www.facebook.com/denioband/ Download: http://hyperurl.co/IndieRockJanuary19 1:25:23 Paravelle - ‘Along The Fires’ https://spoti.fi/2GIcYkK https://www.facebook.com/paravelle/ Download: https://apple.co/2LzInEA 🌧️ 🐦 Find alexrainbirdMusic on: Official website: http://www.alexrainbirdmusic.com/ Spotify: https://open.spotify.com/user/alxrnbrdmusic/playlist/2gCHaXDsqqmjpec20FN5Lc Facebook: https://www.facebook.com/alexrainbirdMusic Twitter: https://twitter.com/alxrnbdMusic Soundcloud: https://soundcloud.com/alexrainbirdmusic Instagram: https://instagram.com/alexrainbirdmusic/ 👕 Official merchandise: https://www.teepublic.com/stores/alexrainbirdmusic ❓ About alexrainbirdMusic: Since 2011, Alex Rainbird has been hunting down and showcasing the very best in independent music. Joined by his girlfriend Beth as of 2017, the couple feature over 70 new artists a month, and hope to provide a platform for underrated musicians to be heard and for viewers to find their new favourite band. Join their +550,000 subscribers today to be the first to hear the finest independent music! 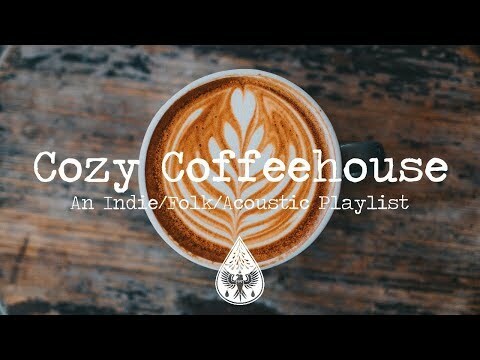 Relax with a hot drink and listen to these beautiful acoustic songs! Tracklist & Spotify link below… 👇 LISTEN ON SPOTIFY: https://spoti.fi/2MXKGFy » Subscribe to be the first to hear the best new independent music! http://bit.ly/145fFnx ✉ Please contact alexrainbirdmusic@gmail.com if you’d like your music to be featured on our channel. 💿 Tracklist: 0:00 Plàsi -- ‘Vienna’ https://spoti.fi/2NfTaHo https://www.facebook.com/plasimusic/ Download: https://apple.co/2NbwOa7 4:13 The Boy and His Dog -- ‘I’d Be a Fool https://spoti.fi/2NOIsVr https://www.facebook.com/TheBoyandHisDogOfficial/ Download: https://apple.co/2NOIvk5 7:42 Kane Miller -- 'All We Need’ https://spoti.fi/2Cnb0nL https://www.facebook.com/KMillerMusic/ Download: https://apple.co/2Q61NTp 10:48 Marcus Alexander -- ‘Journey’ https://spoti.fi/2wJJM5g https://www.facebook.com/marcusalx/ Download: https://apple.co/2NRrSnE 14:12 Scott Orr -- ‘Seasons’ https://spoti.fi/2PEmiWb https://www.facebook.com/scottorrmusic/ Download: https://apple.co/2NjluIR 17:28 Cameron Jericho -- 'Anchor’ https://spoti.fi/2oH4i23 https://www.facebook.com/CameronJericho/ Download: https://apple.co/2NRX85V 19:48 Twin Tacoma -- ‘Perfect Life’ https://spoti.fi/2PB5PlN https://www.facebook.com/twintacoma/ Download: https://apple.co/2NhFgVi 22:10 Alexander Wren -- ‘Emily’ https://spoti.fi/2oJ6ZA0 https://www.facebook.com/Alexander-Wren-334054999969018/ Download: https://apple.co/2oHWRri 25:46 Jon and Roy -- ‘Take Me By Surprise’ https://spoti.fi/2Q48zcl https://www.facebook.com/jonandroy/ Download: https://apple.co/2wKbsXB 28:43 Baswod -- ‘Sundays’ https://spoti.fi/2CjvYnu https://www.facebook.com/baswod/ Download: https://apple.co/2Q7miPO 31:59 Michael Barrow & The Tourists -- ‘All I’ll See Is You’ https://spoti.fi/2wM3gGy https://www.facebook.com/michaelbarrowmusic/ Download: https://apple.co/2M207Ho 36:08 Joe Hicks -- ‘Sign’ https://spoti.fi/2ssG0wL https://www.facebook.com/joehicksmusic/ Download: https://apple.co/2wMGJct 41:21 Elisha David -- ‘The Sounding Joy’ https://open.spotify.com/artist/5L0bBIAjOrYCQIDSWYESV1 https://soundcloud.com/elisha-zepeda Download: https://apple.co/2NOSjdT 43:45 Misty Boyce – ‘Spinning Plates’ https://spoti.fi/2M1o5SW https://www.facebook.com/Misty-Boyce-79940408788/ Download: https://apple.co/2PFLWd5 46:23 Tom Francis -- ’10,000 feet’ https://spoti.fi/2PB7nMz https://www.facebook.com/TomFrancisMusician/ Download: https://apple.co/2wFP6py 50:24 Evan Crommett -- ‘Puzzle Pieces’ https://spoti.fi/2QbnjX4 https://www.facebook.com/evancrommett/ Download: https://apple.co/2NMO02w 53:04 John Secondino -- ‘Petrified’ https://spoti.fi/2MScdby https://soundcloud.com/johnsecondino Download: https://apple.co/2NhSbXi 56:53 Richard Readey -- ‘You’re Not Home’ https://soundcloud.com/richardreadey https://www.facebook.com/RickReadey/ Download: N/A 1:01:17 We Are All Fossils -- ‘The West’ https://spoti.fi/2PyDkF6 https://www.facebook.com/WAAFossils/ Download: https://apple.co/2NN8V5D 1:03:59 Tim the Lion Tamer -- ‘Dancer’ https://spoti.fi/2PFSRD5 https://www.facebook.com/timtheliontamer/ Download: https://apple.co/2NQduMB 1:07:16 Plàsi -- ‘Too Far’ https://spoti.fi/2NfTaHo https://www.facebook.com/plasimusic/ Download: https://apple.co/2wRJp8f 🌧️ 🐦 Find alexrainbirdMusic on: Official website: http://www.alexrainbirdmusic.com/ Spotify: https://open.spotify.com/user/alxrnbrdmusic/playlist/2gCHaXDsqqmjpec20FN5Lc Facebook: https://www.facebook.com/alexrainbirdMusic Patreon (to raise money for a music festival! ): https://www.patreon.com/alexrainbirdMusic Twitter: https://twitter.com/alxrnbdMusic Soundcloud: https://soundcloud.com/alexrainbirdmusic Instagram: https://instagram.com/alexrainbirdmusic/ 👕 Official merchandise: https://www.teepublic.com/user/alexrainbirdmusic ❓ About alexrainbirdMusic: Since 2011, Alex Rainbird has been hunting down and showcasing the very best in independent music. Joined by his girlfriend Beth as of 2017, the couple feature over 70 new artists a month, and hope to provide a platform for underrated musicians to be heard and for viewers to find their new favourite band. Join their +460,000 subscribers today to be the first to hear the finest independent music! 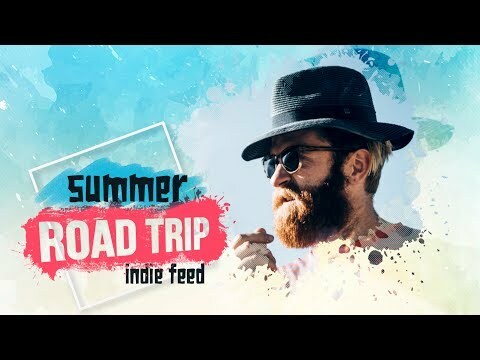 » Subscribe to be the first to hear the best new independent music: https://www.youtube.com/c/IndieVibes1?sub_confirmation=1 Tracklist: 0:00 Folk Road Show – Something In The Water Video: https://youtu.be/XVmHz_LPOWc 3:16 Tim Newman – BURN UP Video: https://youtu.be/Urw9x1ZPo2M 6:35 Anson Seabra – Be Alright (Cover Dean Lewis) Video: https://youtu.be/edYH-sFpMGg 10:03 Ripp + Rice – Carry On Video: https://youtu.be/QfsVERx3yq8 12:49 JP Maurice – The Seed Video: https://youtu.be/ZbP61k3dSSs 17:00 Rob Vischer – Don’t Need No Gold (Linda’s Song) Video: https://youtu.be/r6JKaM8brKI 19:09 The Dunwells – We Made Fire In The Pouring Rain Video: https://youtu.be/yEe_GSLHHtc 22:17 Jackson Aide – L O V E Video: https://youtu.be/s2Ex5zIgpME 25:15 Corey Durkin – Little Black Dress Video: https://youtu.be/pJALc7D-mVM 28:12 Mighty Oaks – Like An Eagle Video: https://youtu.be/QkLy0U4gp2I 32:22 Grímur – Smoke Video: https://youtu.be/CLWkSrWlBK4 36:13 Eric Brent West – Hospital Bed Video: https://youtu.be/Wcir4G0TnXQ 39:11 Tamir Yechezkel – You Won’t Fight Them On Your Own Video: https://youtu.be/gTOcRU5PldY 42:29 Wolf And Willow – Into The Night Video: https://youtu.be/11DoWIqSSik 46:30 SYML – Clean Eyes (acoustic) Video: https://youtu.be/5Cv2pceGYNk 50:09 Old Sea Brigade – Stay Up Video: https://youtu.be/5cDQnoEUmc0 55:04 Hue McMahon – Shady Lady Video: https://youtu.be/mRm6YDmIJuI 58:11 Gunnar Flinchum – The Trees Video: https://youtu.be/3EDDUJkFwvw 1:01:31 The Influencers – Whitewater Video: https://youtu.be/r-MWEG3vaUM 1:05:17 Jariah Higgins – Cupid Video: https://youtu.be/uFo3P-F1eGU 1:08:50 Brandon Jenner – All I Need Is You Video: https://youtu.be/Ouda2kCCoY4 1:12:54 Trevor Ohlsen – Crazy In Love Video: https://youtu.be/5dJEXdrce5M 1:16:23 Izzy Heltai – The Stranger You’ve Become Video: https://youtu.be/ZoBl6MzLAuw 1:21:01 Native Culture – 17 Years Video: https://youtu.be/HcdhbMs3Urw 1:26:24 Stewart McKee – Right Or Wrong Video: https://youtu.be/ibqMUfKt0S4 1:30:34 Sunny Pache – Patagionia Video: https://youtu.be/_nLHM5mRKkg 1:33:22 Todd Kessler – One More Note Video: https://youtu.be/VI1TJC3Dw8o 1:36:04 Paden – Songbird Video: https://youtu.be/VDW_drhF9xE 1:40:00 The Collectables – Wildfire Video: https://youtu.be/DM5sFi3xsU0 1:44:47 Collin Hoeve - #addicted Video: https://youtu.be/__BFNwVKGGk 1:47:03 Mark & Sarah Tillman – Bread For Us Video: https://youtu.be/Fa3ldhQ-48c 1:51:32 Ed Sloan – Alive Video: https://youtu.be/YVprEcO35KI Support IndieVibes on: Like on Facebook➥ https://www.facebook.com/IndieVibesMusic/ Listen on SoundCloud➥ https://soundcloud.com/indievibes1 Subscribe on YouTube➥ https://www.youtube.com/c/IndieVibes1 ✉ Please contact jellevanderlinden16@gmail.com if you’d like your music to be featured on my channel! 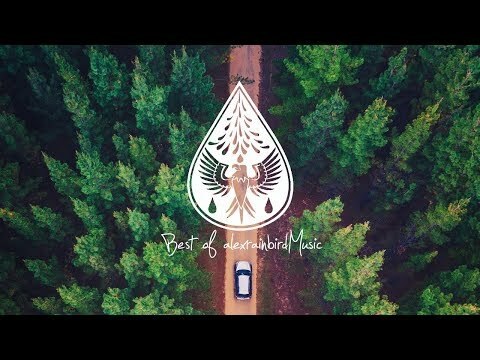 Celebrate 500k subscribers with us in this Best Of playlist from alexrainbirdMusic! Tracklist & Spotify link below… 👇 LISTEN ON SPOTIFY: https://spoti.fi/2NWesG9 » Subscribe to be the first to hear the best new independent music! http://bit.ly/145fFnx ✉ Please contact alexrainbirdmusic@gmail.com if you’d like your music to be featured on our channel. 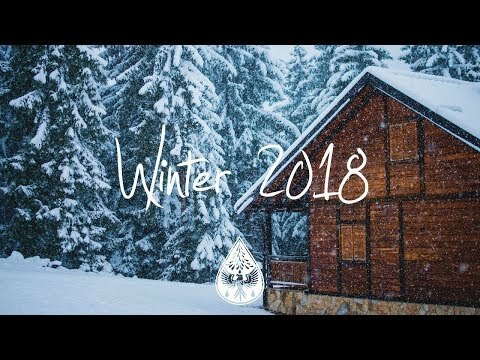 💿 Tracklist: 0:00 WILD -- ‘Here We Go’ https://spoti.fi/2PJB9zb 3:00 Harrison Storm -- ‘Feeling You’ https://spoti.fi/2NVaT35 6:15 Jordy Searcy -- 'Love & War In Your Twenties’ https://spoti.fi/2qczY0d 10:21 The Hollow Men – ‘Speak’ https://spoti.fi/2yqIBJ2 13:36 Seafret -- ‘Can’t Look Away’ https://spoti.fi/2PiP568 17:09 Dustin Tebbutt -- 'Love Is Blind’ https://spoti.fi/2PNYK1R (Track provided by AntiFragile Music) 20:58 Cinders -- ‘Sleep Walking’ https://spoti.fi/2CwtTTr 24:48 Mitch King -- ‘Believe’ https://spoti.fi/2EAdWyl 28:42 The Brahms -- ‘Sleep’ https://spoti.fi/2q480U7 32:13 Jon Bryant -- ‘At Home’ https://spoti.fi/2R3KZMD 35:52 Children of Indigo -- ‘Magnum’ https://spoti.fi/2JaOH4e 38:51 Ed Whicher -- ‘Changing Choices’ https://spoti.fi/2NWprzj 41:56 Simon August – ‘Memory’ https://spoti.fi/2CZ4LG3 45:48 NOAH – ‘Nothing More Human’ https://spoti.fi/2yt3GT8 48:34 Plasi – ‘Vienna’ https://spoti.fi/2PcPuam 52:50 Edward & Jane -- ‘Please Don’t Leave Me Like This’ https://spoti.fi/2S8xI6U 57:33 Young Robin -- ‘U.’ https://spoti.fi/2yrNcKS 1:01:04 Dustin Paul -- ‘Lucky Day’ https://spoti.fi/2EzL4Gf 1:04:28 Hollow Coves -- ‘Ran Away’ https://spoti.fi/2EDgTxZ 1:08:31 Clouds And Thorns -- ‘Anywhere You Want To Go’ https://spoti.fi/2q0Pjki 1:12:45 The Boy and His Dog -- ‘I’d Be A Fool’ https://spoti.fi/2CxAUU7 1:16:14 Arms Akimbo -- ‘Virtual’ https://spoti.fi/2yT1bcc 1:20:12 Joe Hicks -- ‘Rest Your Head’ https://spoti.fi/2Cxorjc 1:24:12 The Solarists -- 'Cup of Tea’ https://spoti.fi/2Al2emT 1:27:38 Lists – ‘Haven Lea’ https://spoti.fi/2JcQy8w 1:30:32 Indolore – ‘Let Me Find Out’ https://spoti.fi/2ysgrwW 1:34:52 Chase McBride -- 'Take You There’ https://spoti.fi/2OHq19o 1:38:02 Canyon City – ‘3 Hours’ https://spoti.fi/2Cy0BUD 1:42:14 Towers and Trees -- ‘Head Down/Heart Up’ https://spoti.fi/2q23G7T 1:45:48 Suzi Island -- ‘Show Me The Way’ https://spoti.fi/2EFQiAr 1:49:30 Thomas Oliver -- ‘The Time in Tokyo’ https://spoti.fi/2q0RrZk 1:52:43 Michael Barrow & The Tourists – ‘All I’ll See Is You’ https://spoti.fi/2yuNctB 1:56:53 Telegraph -- ‘Broken Bones’ https://spoti.fi/2S8C91y 2:00:32 Banff -- ‘Renew’ https://spoti.fi/2EBy0Ah 2:04:22 Davey Russell – ‘Better When We’re Together’ https://spoti.fi/2R6XdUG 2:08:27 Land Of Trees -- ’For the Books’ https://spoti.fi/2yY1KBg 2:12:01 Cavern Company -- ‘Body Language’ https://spoti.fi/2PcS0gH 2:16:49 Aaron B. Thompson -- ‘Pulse’ https://spoti.fi/2CwvNn3 2:20:25 Jeffrey Piton -- ‘On My Own’ https://spoti.fi/2AlMyzM 2:23:33 Billy Stonecipher -- ‘Birds’ https://spoti.fi/2CWL0yV 2:27:10 Natalie Holmes -- ‘Immune to It’ https://spoti.fi/2Cx2lNN 2:30:49 me&you -- ‘Georgia’ https://spoti.fi/2S5kkQO 2:34:57 Only Sun -- ‘Indigo’ https://spoti.fi/2q60HuY 2:38:03 Ade Mai -- ‘Miles’ https://spoti.fi/2R9lPw9 2:43:50 In the City -- ‘Best Time’ https://spoti.fi/2An59vE 🌧️ 🐦 Find alexrainbirdMusic on: Official website: http://www.alexrainbirdmusic.com/ Spotify: https://open.spotify.com/user/alxrnbrdmusic/playlist/2gCHaXDsqqmjpec20FN5Lc Facebook: https://www.facebook.com/alexrainbirdMusic Patreon (to raise money for a music festival! ): https://www.patreon.com/alexrainbirdMusic Twitter: https://twitter.com/alxrnbdMusic Soundcloud: https://soundcloud.com/alexrainbirdmusic Instagram: https://instagram.com/alexrainbirdmusic/ 👕 Official merchandise: https://www.teepublic.com/user/alexrainbirdmusic ❓ About alexrainbirdMusic: Since 2011, Alex Rainbird has been hunting down and showcasing the very best in independent music. Joined by his girlfriend Beth as of 2017, the couple feature over 70 new artists a month, and hope to provide a platform for underrated musicians to be heard and for viewers to find their new favourite band. Join their +500,000 subscribers today to be the first to hear the finest independent music! 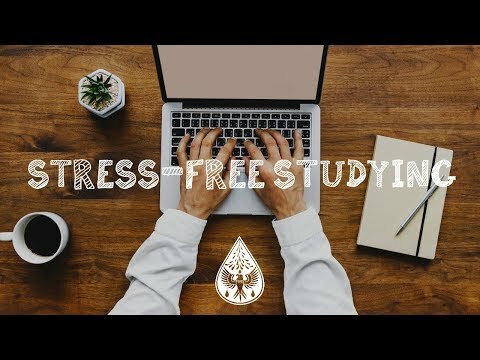 Make homework and studying fun with this stress-free indie selection! LISTEN ON SPOTIFY: https://spoti.fi/2jPTYm5 » Subscribe to be the first to hear the best new independent music! http://bit.ly/145fFnx ✉ Please contact alexrainbirdmusic@gmail.com if you’d like your music to be featured on my channel. Tracklist: 0:00 Jordy Searcy -- ‘Love & War in Your Twenties’ https://spoti.fi/2rs0TWC https://www.facebook.com/jordysearcymusic/ Download: https://apple.co/2K1tB7C 4:05 MyKey -- ‘Running With The Wolves’ https://spoti.fi/2rruShq https://www.facebook.com/mykeytheartist/ Download: https://apple.co/2wsQkrw 8:21 NOAH -- 'Nothing More Human’ https://spoti.fi/2ItzBc2 https://www.facebook.com/noahsoundsmusic/ Download: https://apple.co/2FRzkul 11:07 Clouds And Thorns -- ‘Whole Lot To Love’ http://spoti.fi/2sgZe89 https://www.facebook.com/CloudsAndThorns/ Download: https://apple.co/2q5hyii 14:15 Coopertheband -- 'Invisible Man’ https://spoti.fi/2Ir4WMQ https://www.facebook.com/cooperthebandofficial/ Download: https://apple.co/2FUtUyw 17:21 Davey Russell -- 'Better When We’re Together https://spoti.fi/2FSqtsk https://www.facebook.com/DaveyRussellMusic/ Download: https://apple.co/2rrnq5M 21:27 Adam Holmes and The Embers -- ‘People Come People Go’ https://spoti.fi/2FTvFfu https://www.facebook.com/adamholmesandtheembers/ Download: https://apple.co/2K0RqfJ 24:35 East Love -- ‘Birds’ https://spoti.fi/2I2IXYN https://www.facebook.com/eastloveband/ Download: https://apple.co/2q36rWb 27:51 Connor McCoy -- ‘Vital’ https://spoti.fi/2K3eEBU https://www.facebook.com/connormccoymusic/ Download: https://apple.co/2HVKrrU 32:36 Big Brutus -- ‘Louise’ https://spoti.fi/2K0DYIW https://www.facebook.com/bigbrutusband/ Download: https://apple.co/2rt9MyB 36:40 Dusty Boots -- ‘Hideaway’ https://spoti.fi/2jEoIGn https://www.facebook.com/dustybootsmusic/ Download: https://apple.co/2BjN3HO 40:53 Alex Hedley -- ‘Possibility’ https://spoti.fi/2HXrEMQ https://www.facebook.com/alexhedleymusic/ Download: https://apple.co/2FTABkz 44:14 Parisian Pass -- ‘Stardust’ https://spoti.fi/2Ik4Fex https://www.facebook.com/parisianpass/ Download: https://apple.co/2rqK2Uc 47:55 Titus Haug -- 'There Is Time’ https://spoti.fi/2rrq0J0 https://www.facebook.com/titushaug/ Download: https://apple.co/2FWFUzw 52:07 Joe Hicks – ‘Rest Your Head’ https://spoti.fi/2I3OIWg https://www.facebook.com/joehicksmusic/ Download: https://apple.co/2ruPxAn 56:07 Simen Mitlid -- ‘This Time’ https://spoti.fi/2ruFoEH https://www.facebook.com/simenmitlidofficial/ Download: https://apple.co/2Ilajgf 59:34 Vian Izak -- ‘Starlit Summer’s Eve’ https://spoti.fi/2FUQ2cb https://www.facebook.com/vianizak/ Download: https://apple.co/2IlbgVR 1:03:08 Willolux -- ‘Sweet Spot’ https://spoti.fi/2InUJQV https://www.facebook.com/willolux/ Download: https://apple.co/2K3owvs 1:06:36 OH LA KANADA – ‘Fantasy’ https://spoti.fi/2I4oWkJ https://www.facebook.com/OHLAKANADA/ Download: https://apple.co/2jH8XyB 1:10:39 Okay Mann -- ‘It Won’t Be Long’ https://spoti.fi/2run11X https://www.facebook.com/okaymannmusic/ Download: https://apple.co/2FV7Tjl 1:14:24 Swim Season -- ‘Collide’ https://spoti.fi/2I2pIPc https://www.facebook.com/swimseasonband/ Download: https://apple.co/2jKB2VT 1:18:23 Cookhouse -- ‘Made It Fly’ https://spoti.fi/2IobZWs https://www.facebook.com/cookhousemusic/ Download: https://apple.co/2KJIoFd 🌧️ Find alexrainbirdMusic on: 🐦 Official website: http://www.alexrainbirdmusic.com/ Spotify: https://open.spotify.com/user/alxrnbrdmusic/playlist/2gCHaXDsqqmjpec20FN5Lc Facebook: https://www.facebook.com/alexrainbirdMusic Patreon (to raise money for a music festival! ): https://www.patreon.com/alexrainbirdMusic Twitter: https://twitter.com/alxrnbdMusic Soundcloud: https://soundcloud.com/alexrainbirdmusic Instagram: https://instagram.com/alexrainbirdmusic/ Official merchandise: https://www.teepublic.com/user/alexrainbirdmusic About alexrainbirdMusic: Since 2011, Alex Rainbird has been hunting down and showcasing the very best in independent music. Joined by his girlfriend Beth as of 2017, the couple feature over 70 new artists a month, and hope to provide a platform for underrated musicians to be heard and for viewers to find their new favourite band. Join their +410,000 subscribers today to be the first to hear the finest independent music!